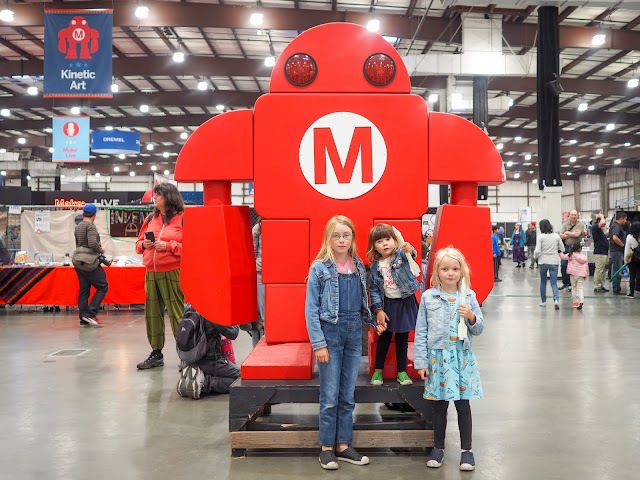 This past weekend we attended Maker Faire, one of my favorite events of the year. 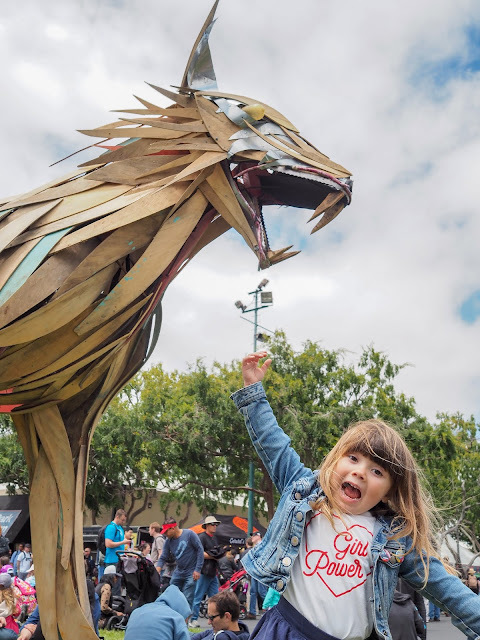 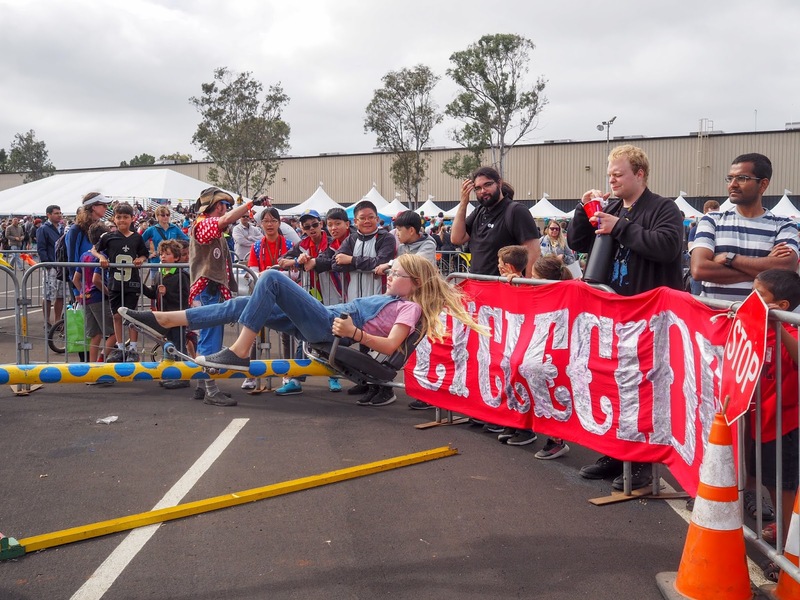 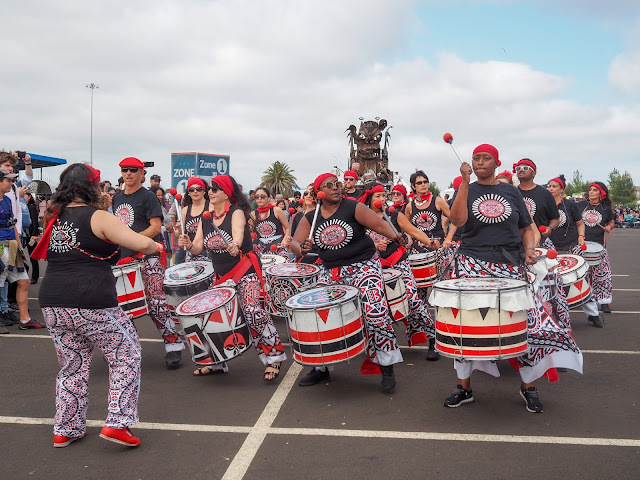 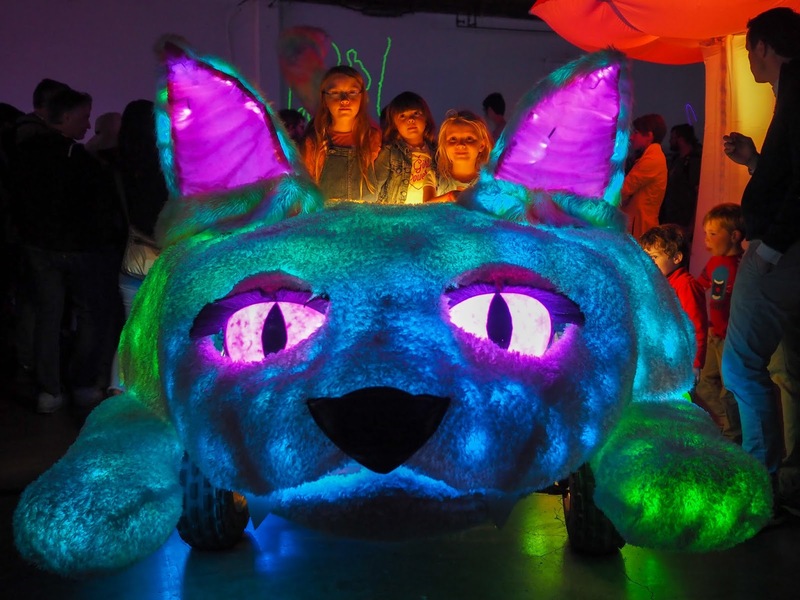 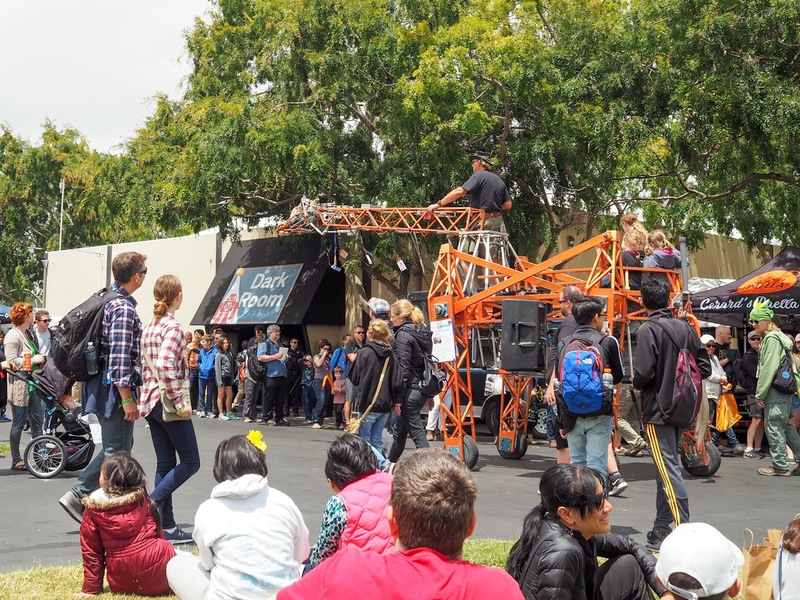 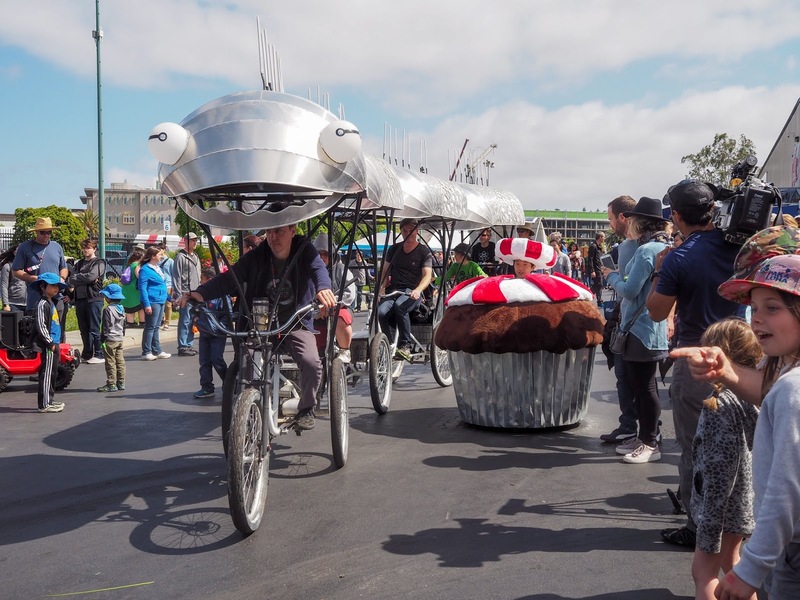 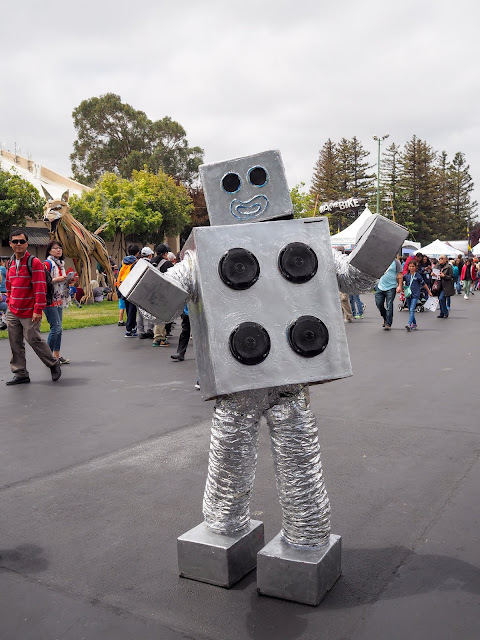 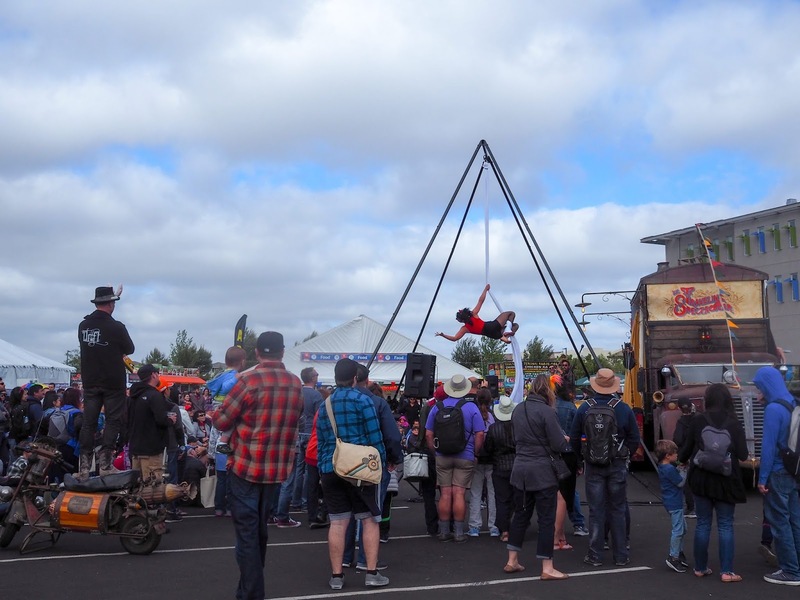 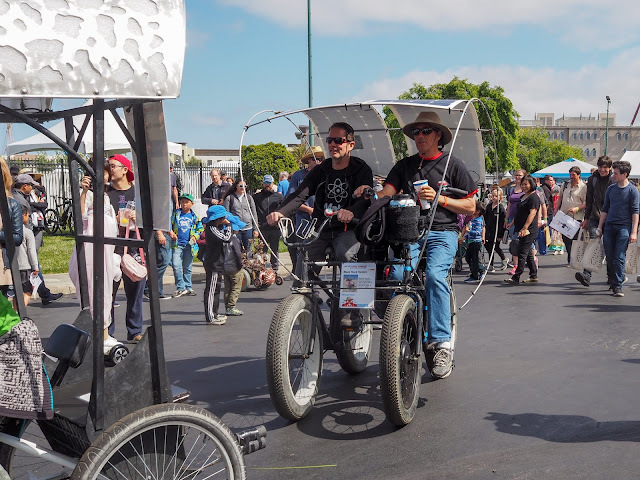 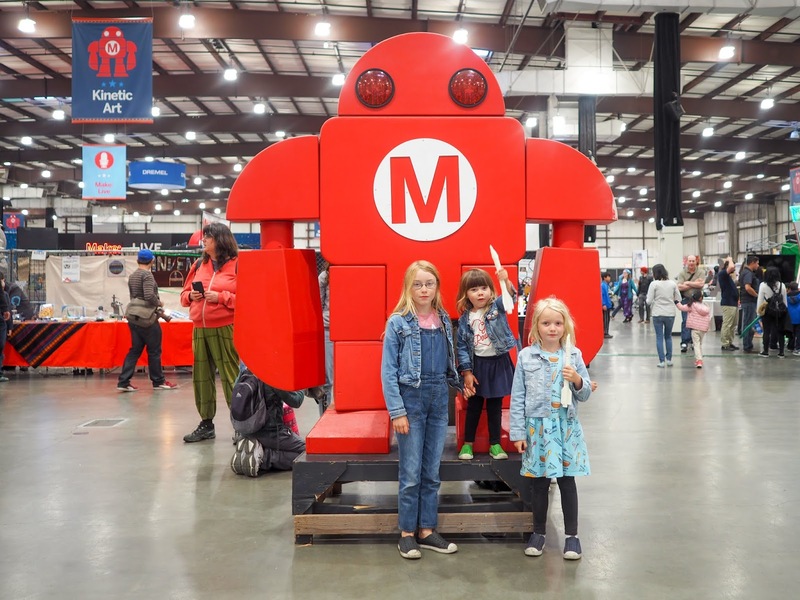 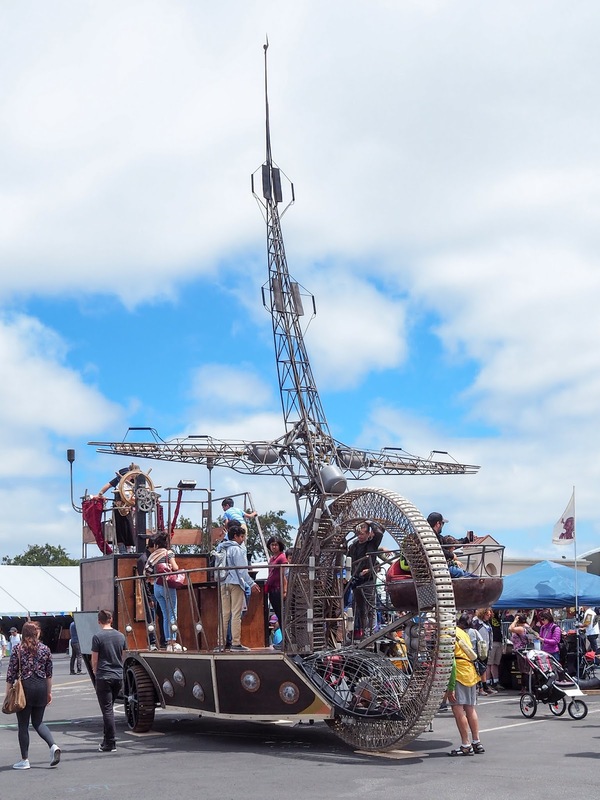 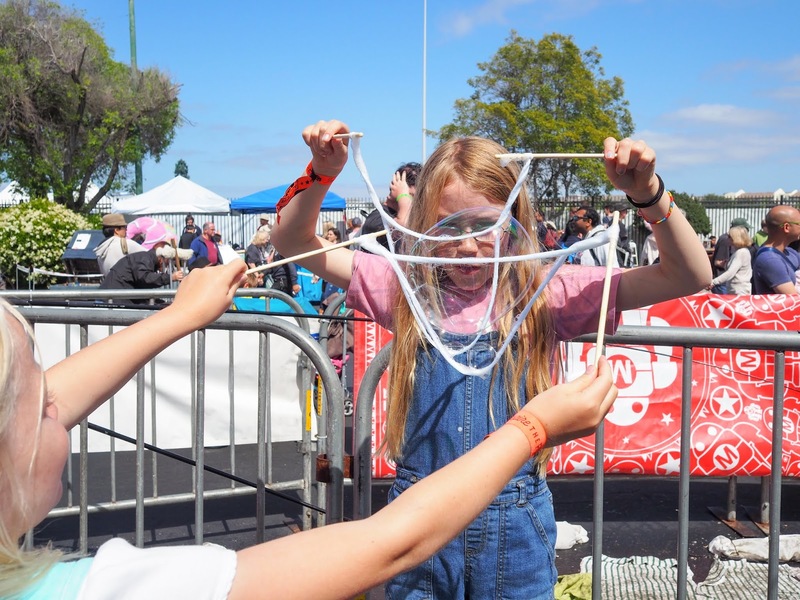 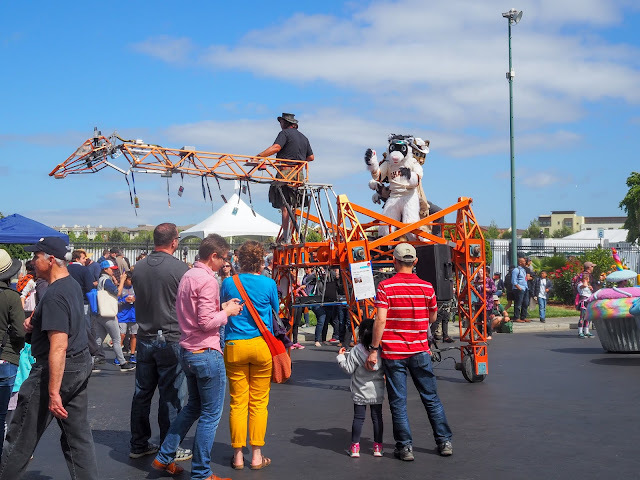 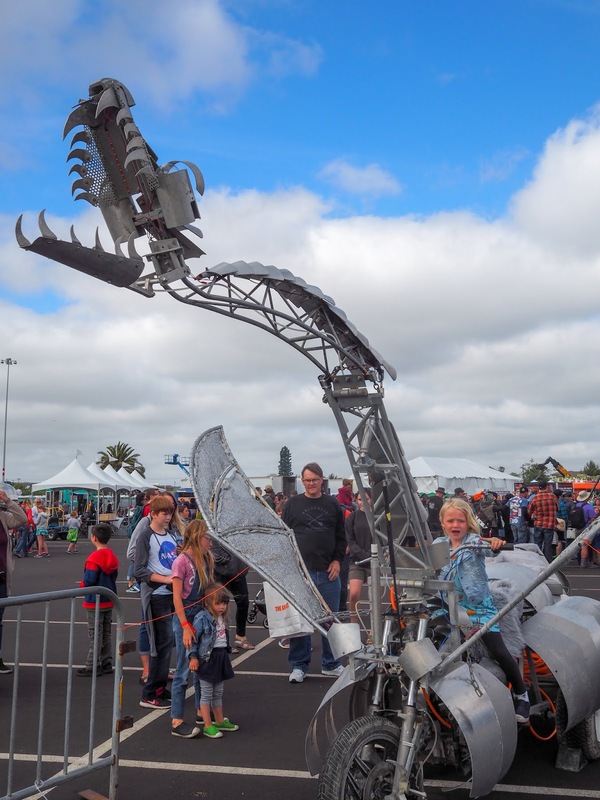 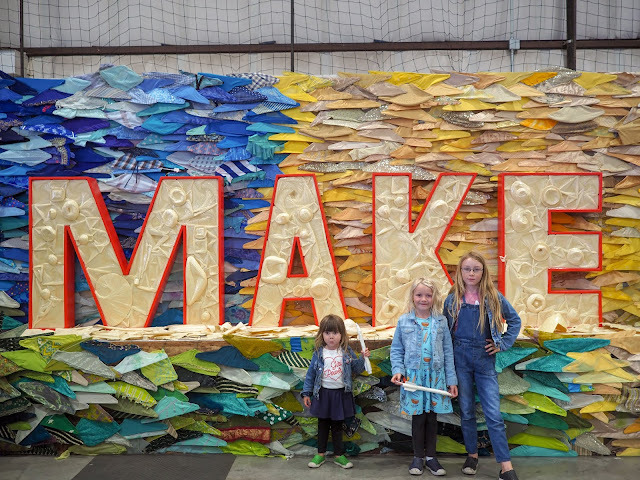 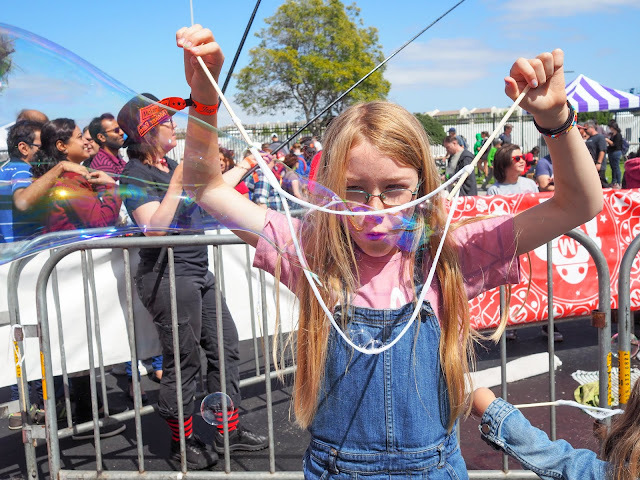 Have you been to a Maker Faire before? It's such a fun event. 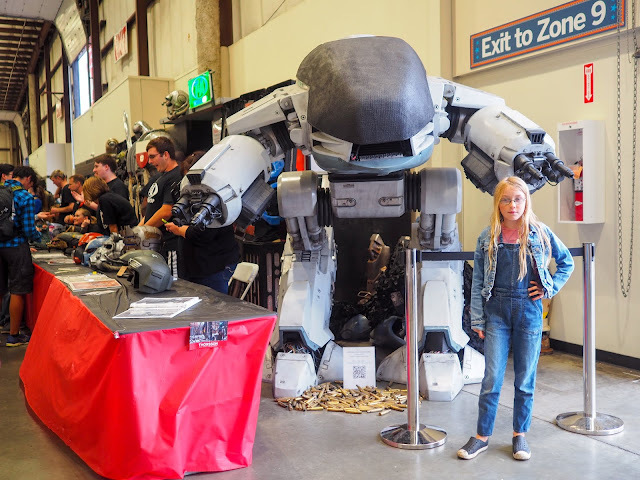 This was our 6th year in a row attending Maker Faire and it was just as fun as always. 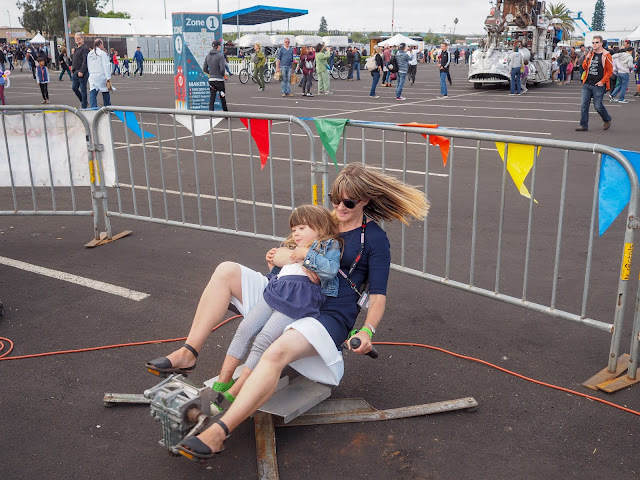 There was so much to see, do and experience with amazing displays, hands on creating and fun rides for big and small. 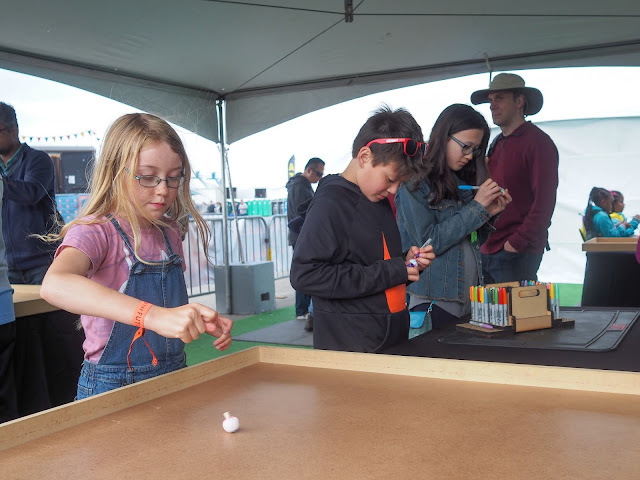 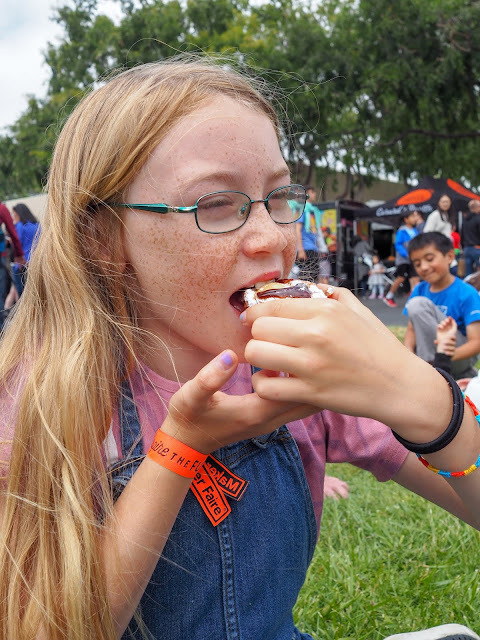 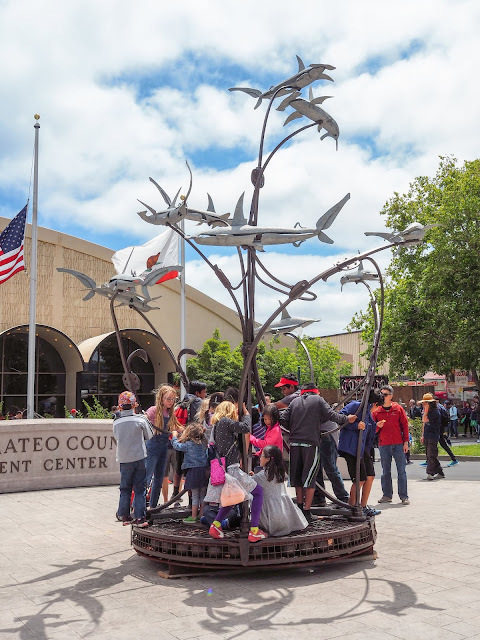 As always, we didn't manage to see all of Maker Faire in just one day, and while I'd love to spend two full days there to try and experience everything it does get a little overwhelming for the kids after a full day. Maybe once Mathilde is older we'll start going for the whole weekend. 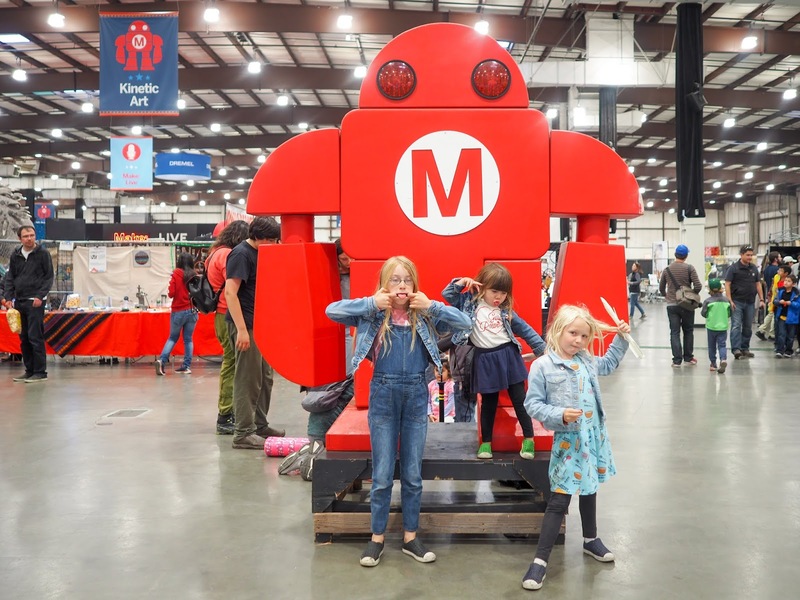 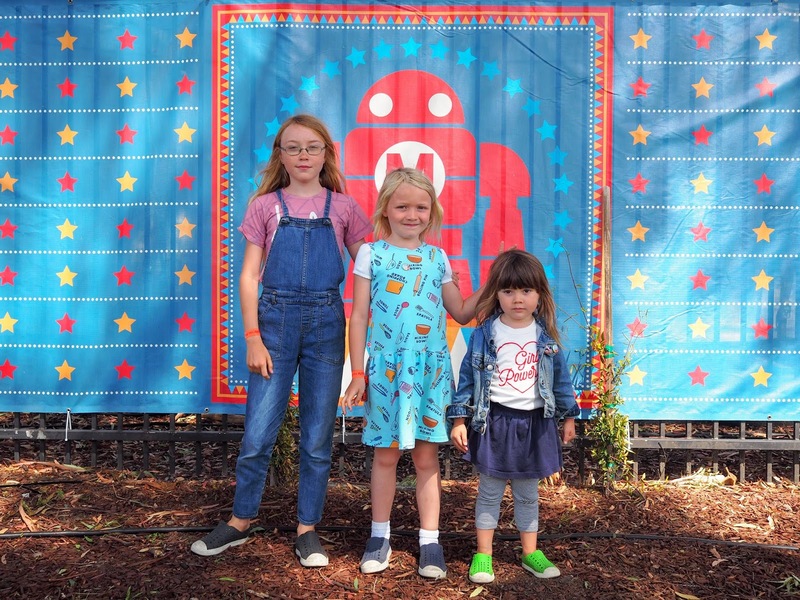 Side note - Mathilde has been to every Maker Faire since she was born! 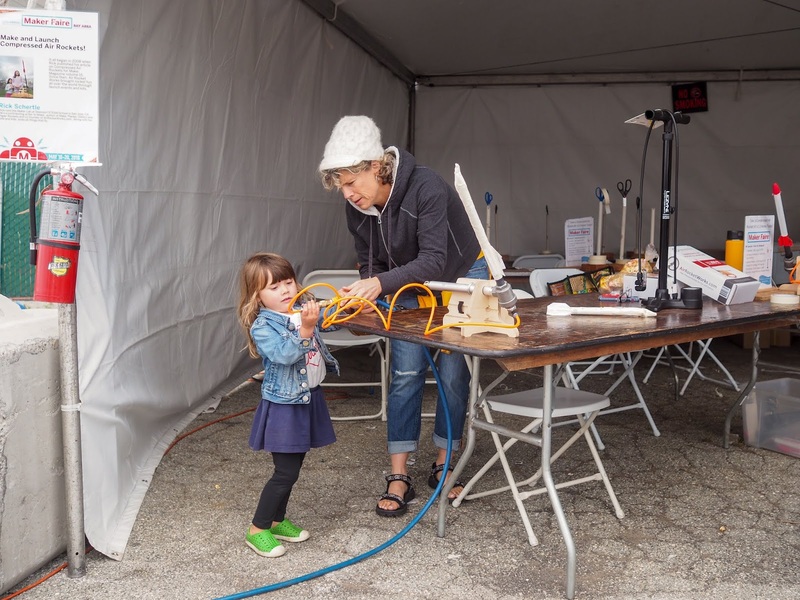 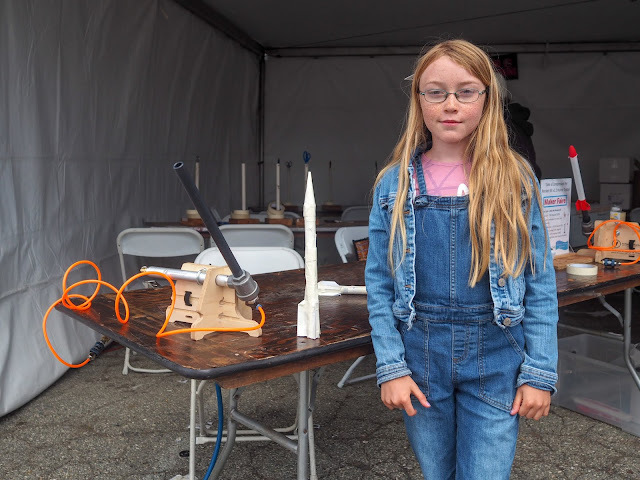 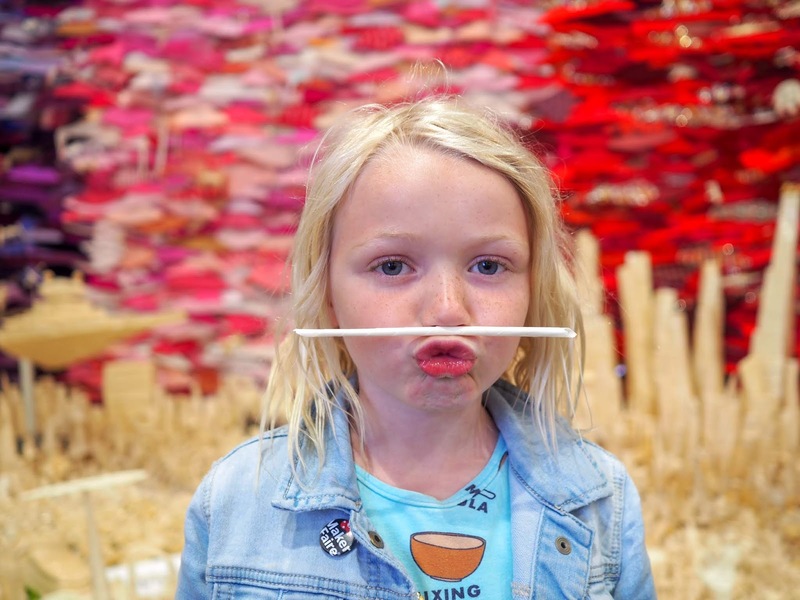 This was her 5th Maker Faire and she only just turned four. She wasn't even a month old the first time she attended! I wonder if she's the youngest ever attendee. 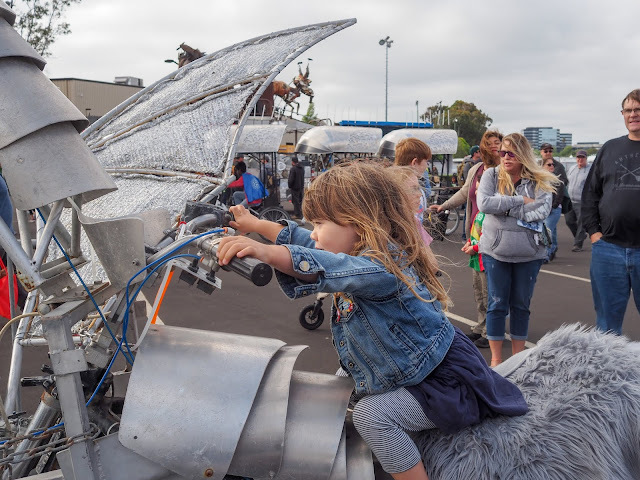 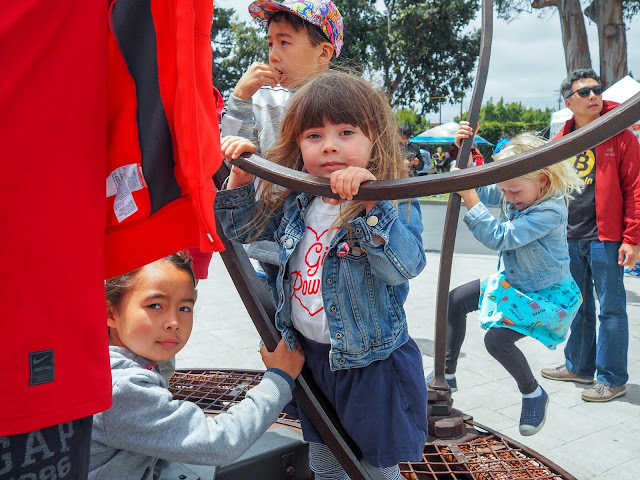 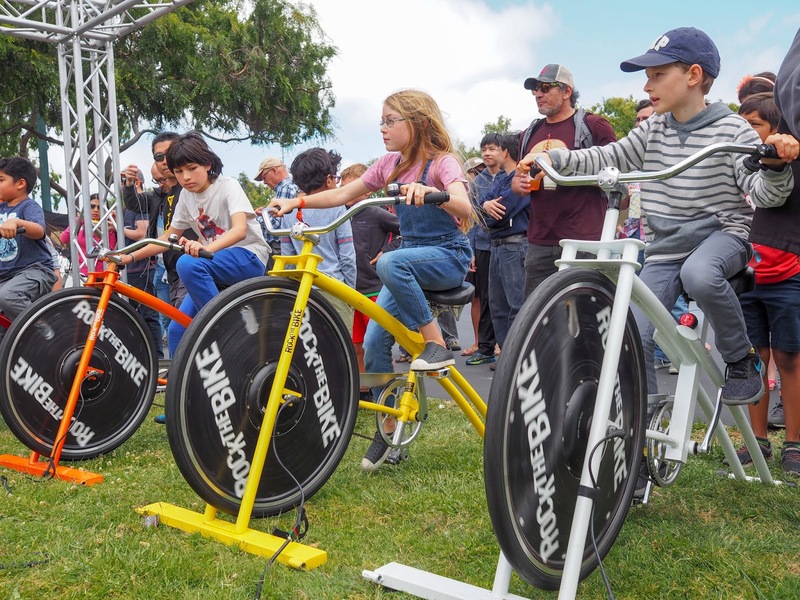 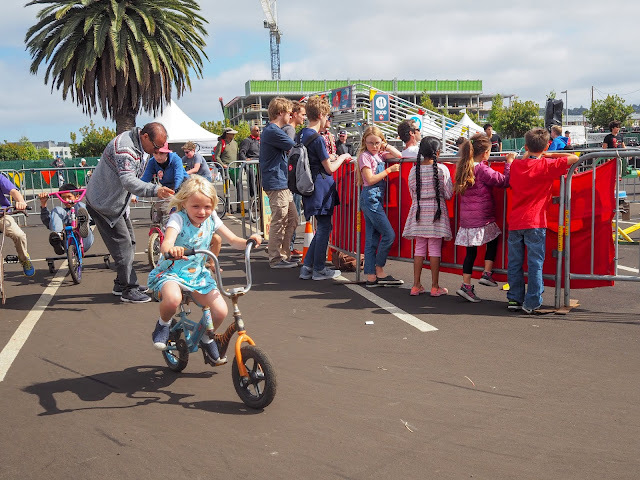 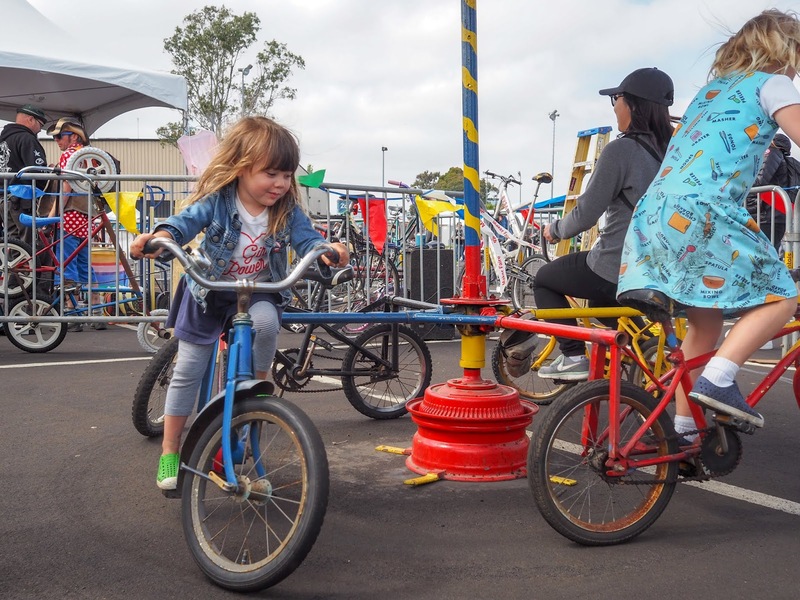 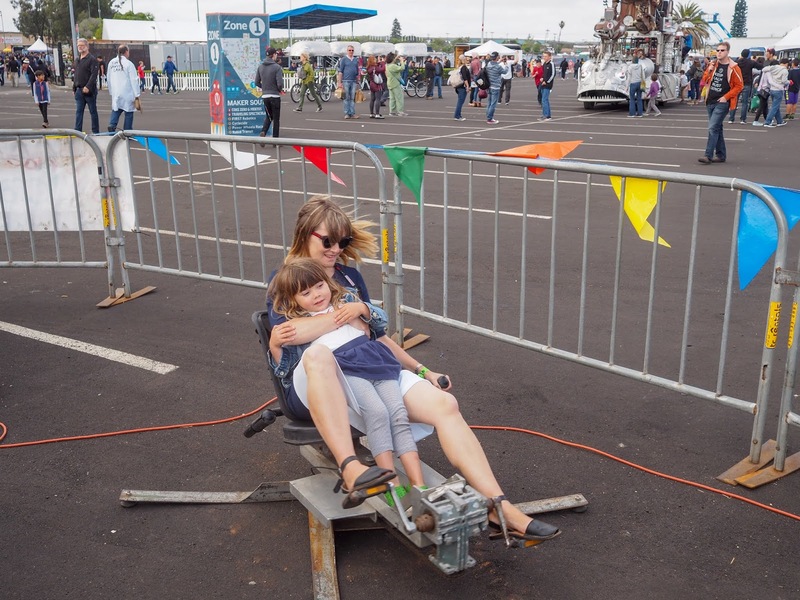 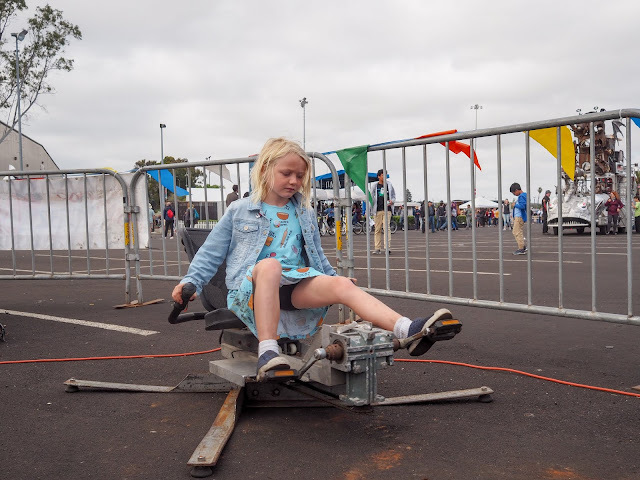 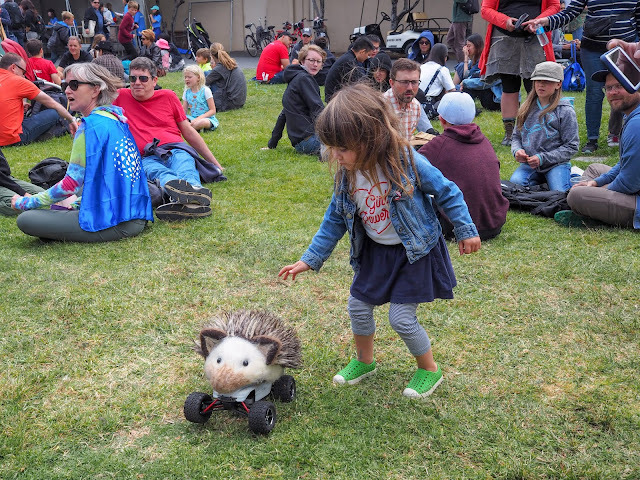 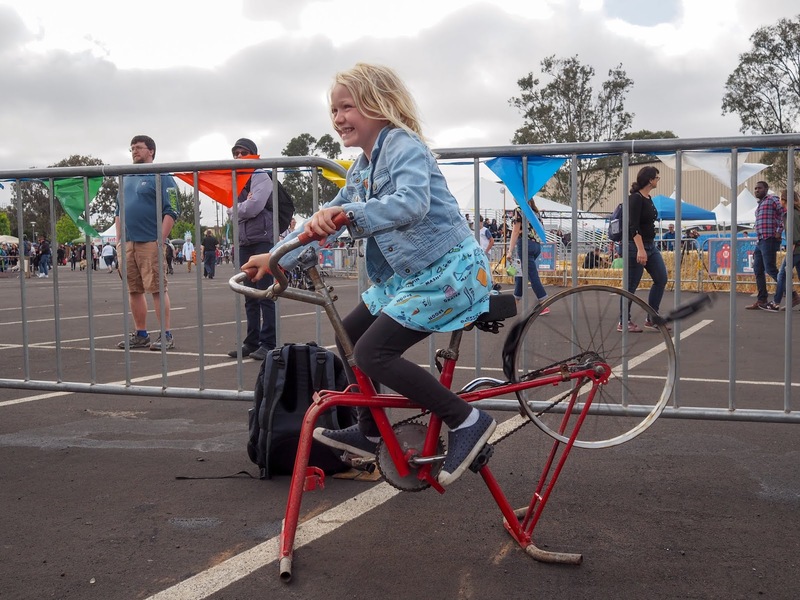 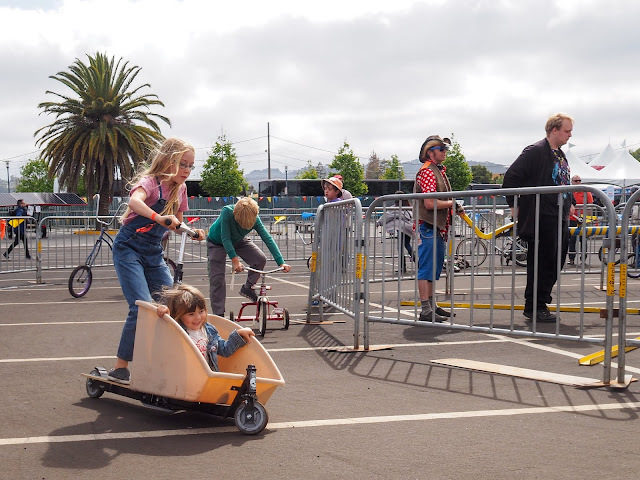 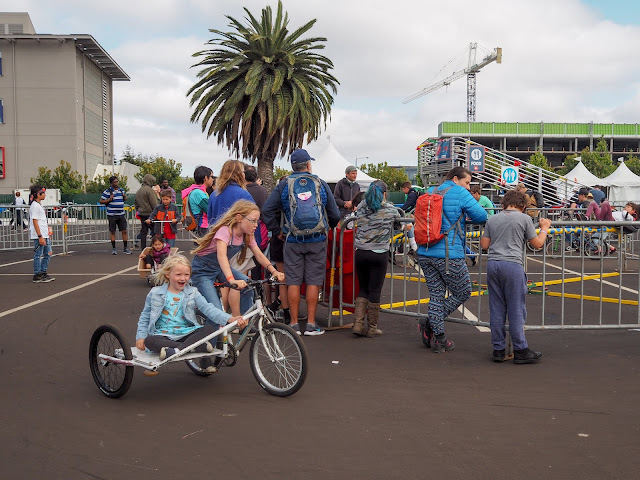 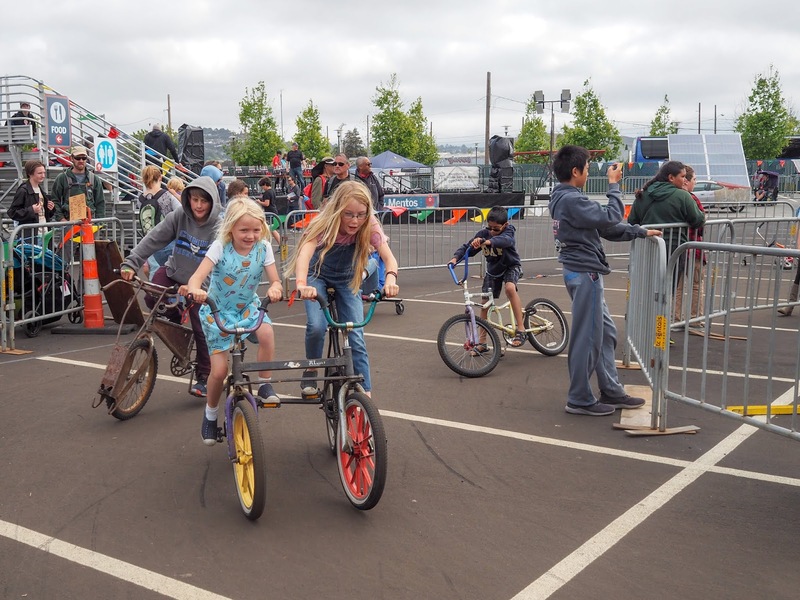 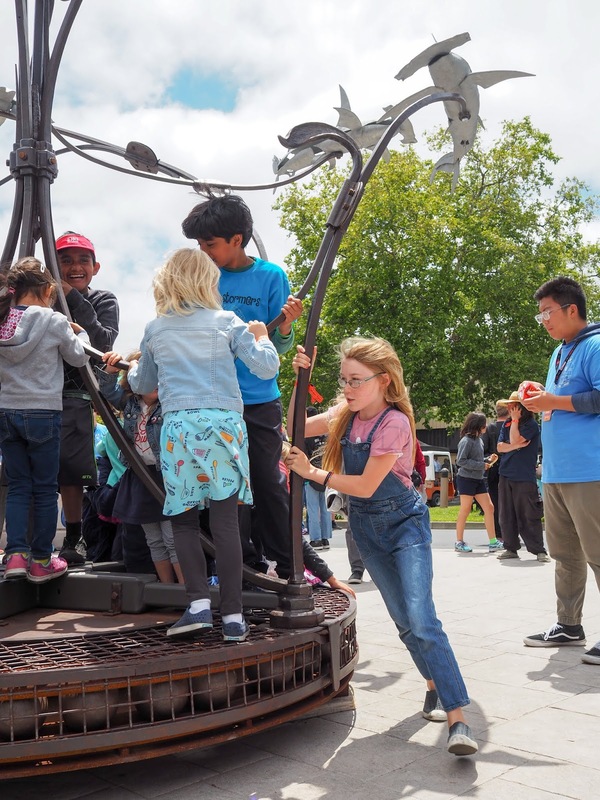 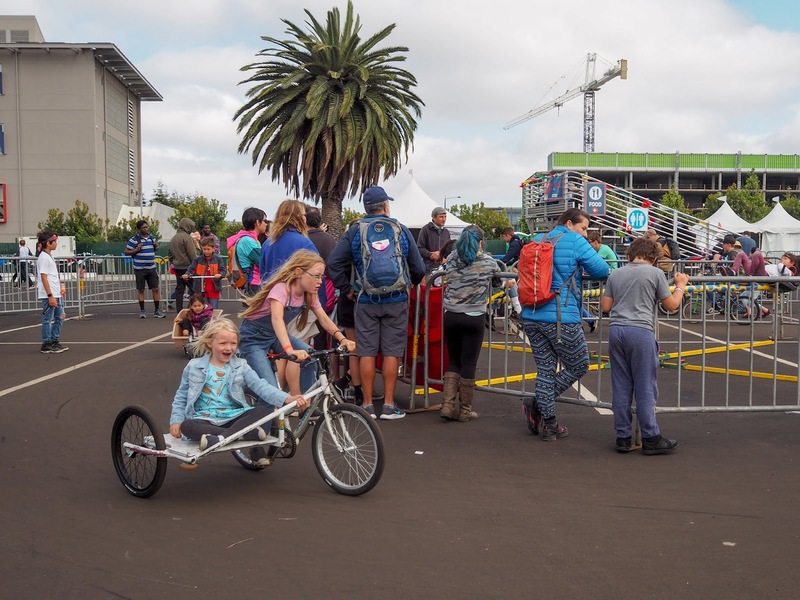 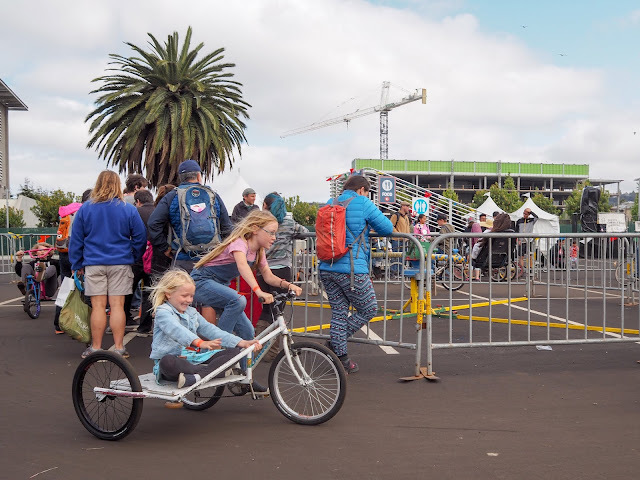 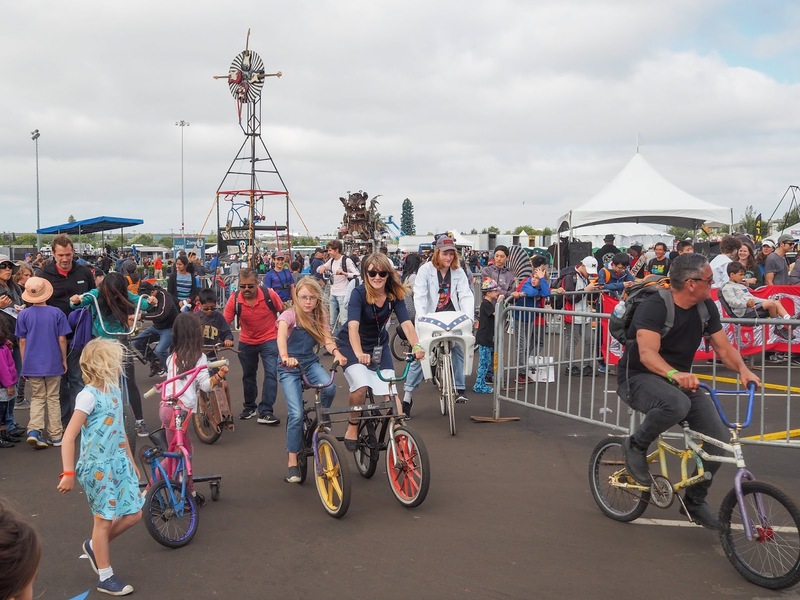 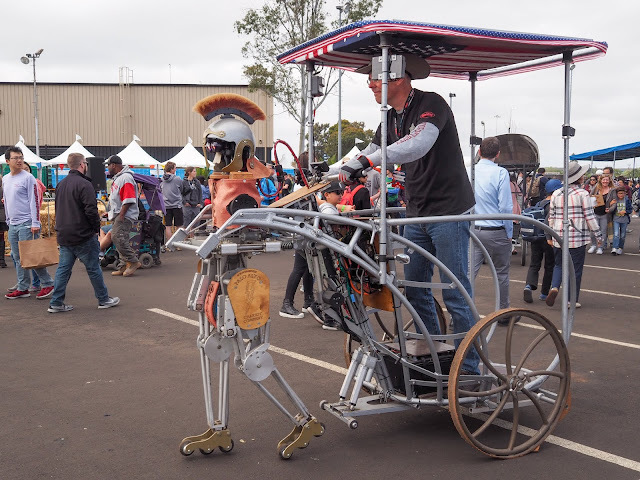 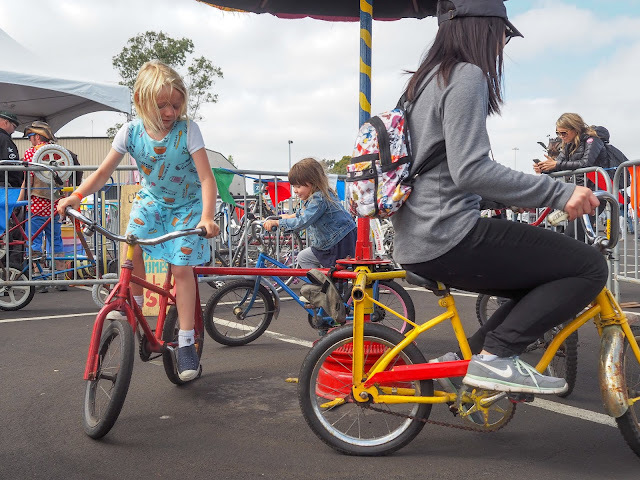 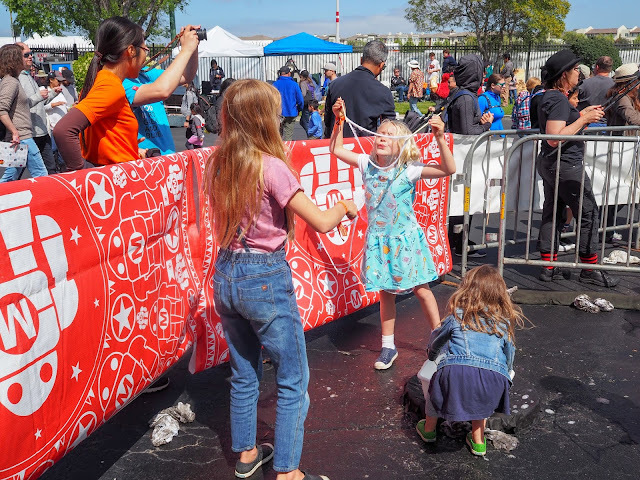 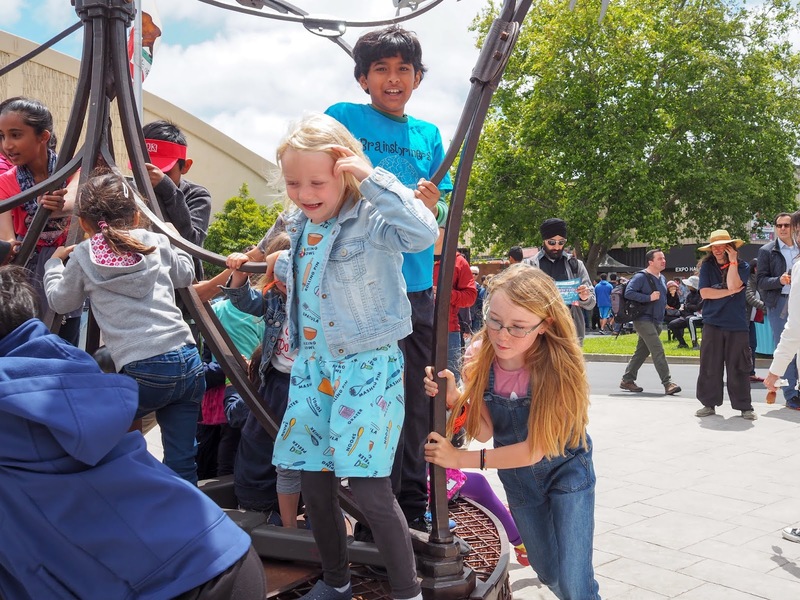 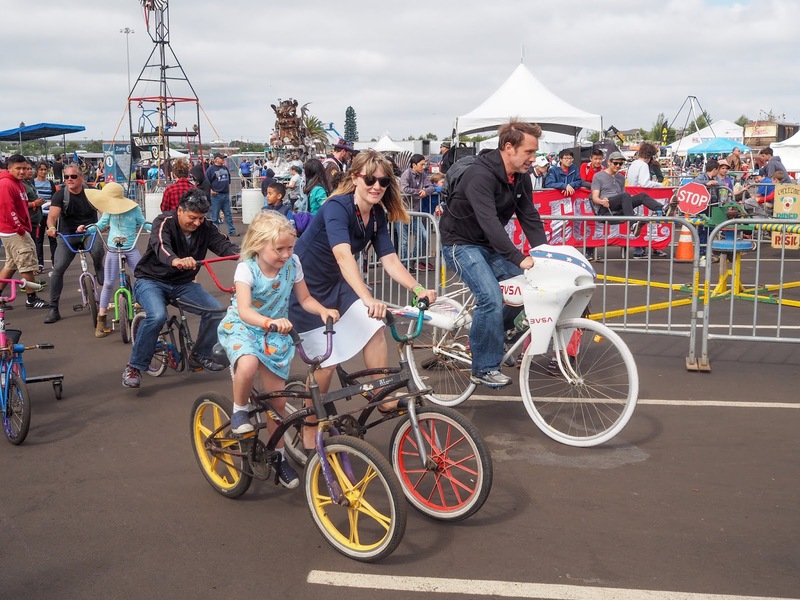 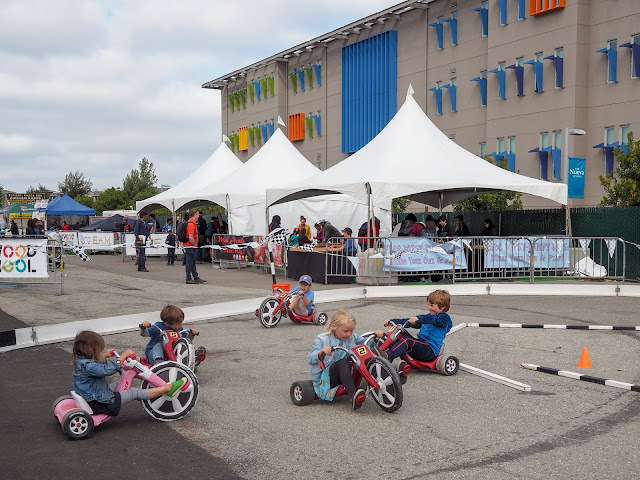 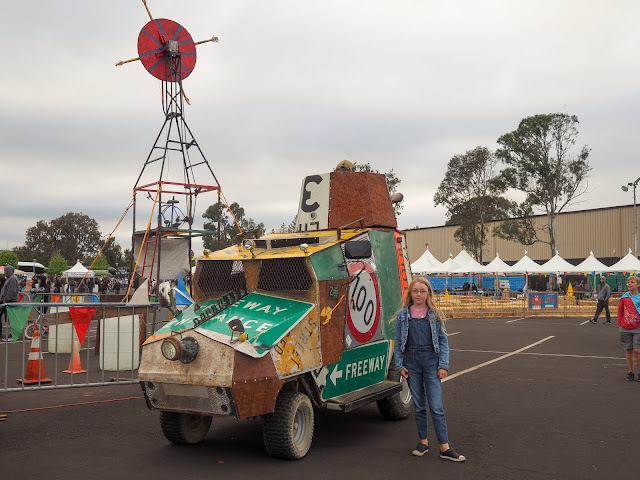 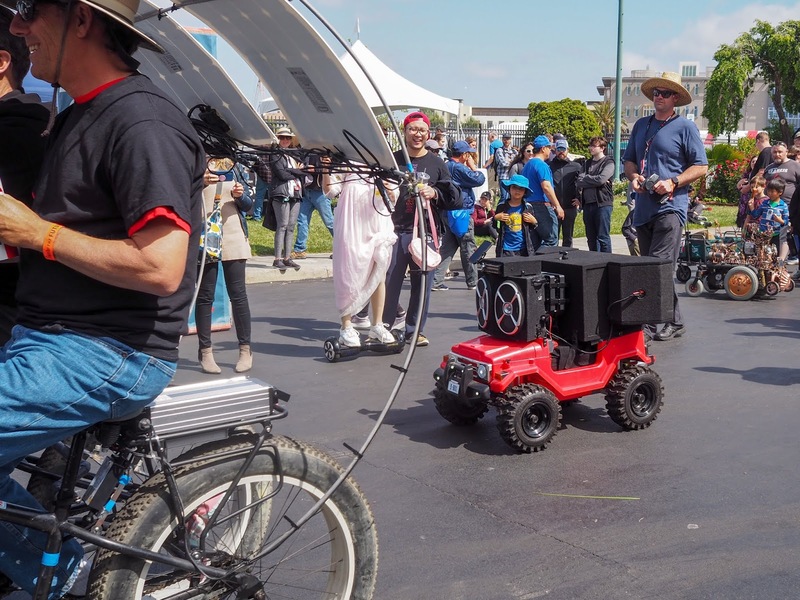 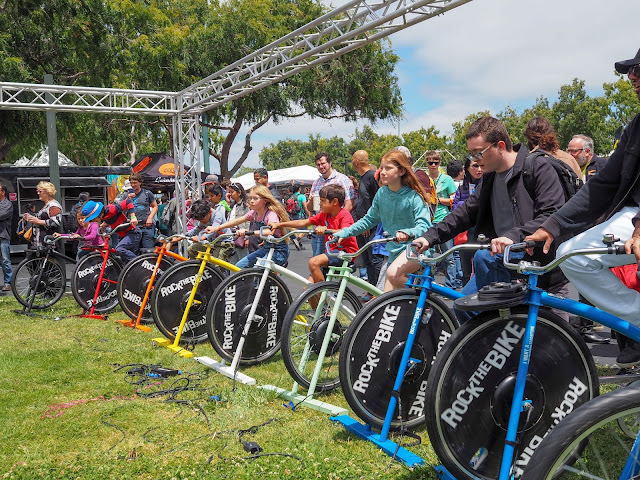 The crazy vehicles, robots, pedal powered and remote controlled creations are always a big hit with the kids when we attend Maker Faire and this year was no different. 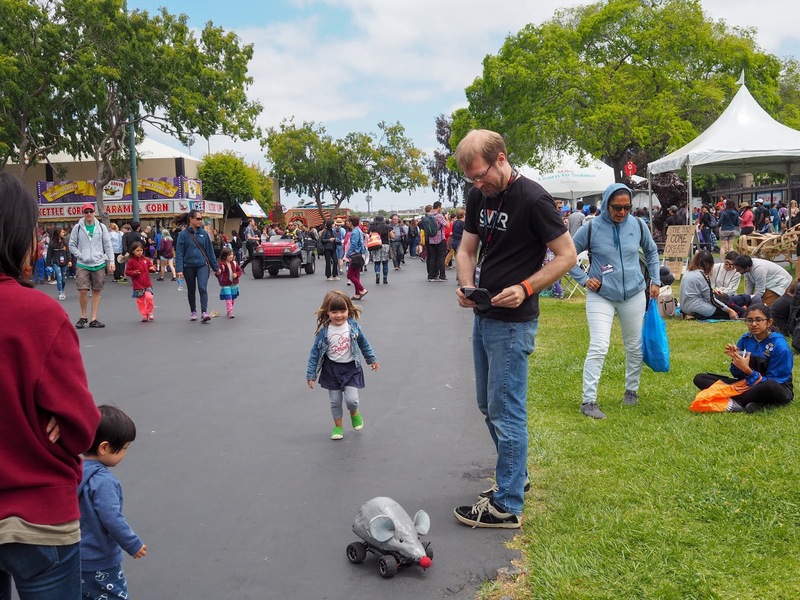 There were creations we recognized from previous years, such as the Electric Giraffe and the (not so robotic) dancing robot, but there were also plenty of new things to keep us entertained. The remote control mouse and hedgehog provided plenty of entertainment for Mathilde (she was enthralled and terrified at the same time!) and the tank shooting soft squishy balls was a hit with all the kids. 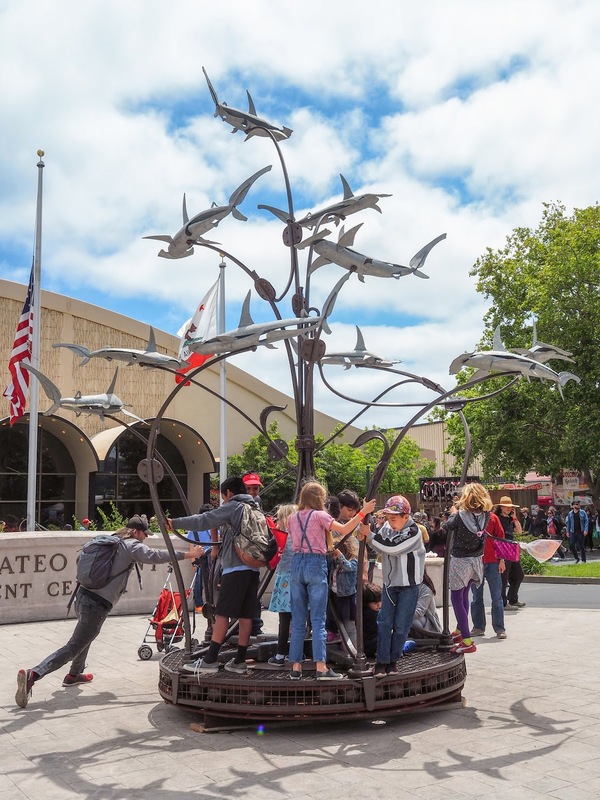 A playground style ride featuring a school of hammer head sharks proved to be very popular with the kids and they spent quite some time spinning around and around on it. I loved the shadows that the sharks created on the ground. Not long after we arrived the kids were hungry so we hit up the food stands for some deep fried carnival goodness. 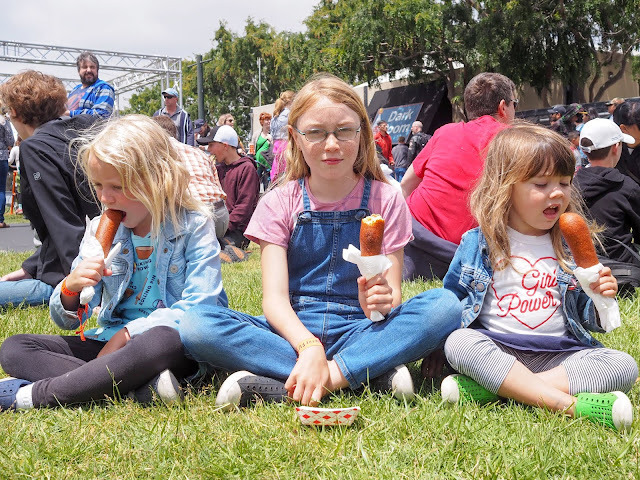 Like always, the kids went for corn dogs for lunch. 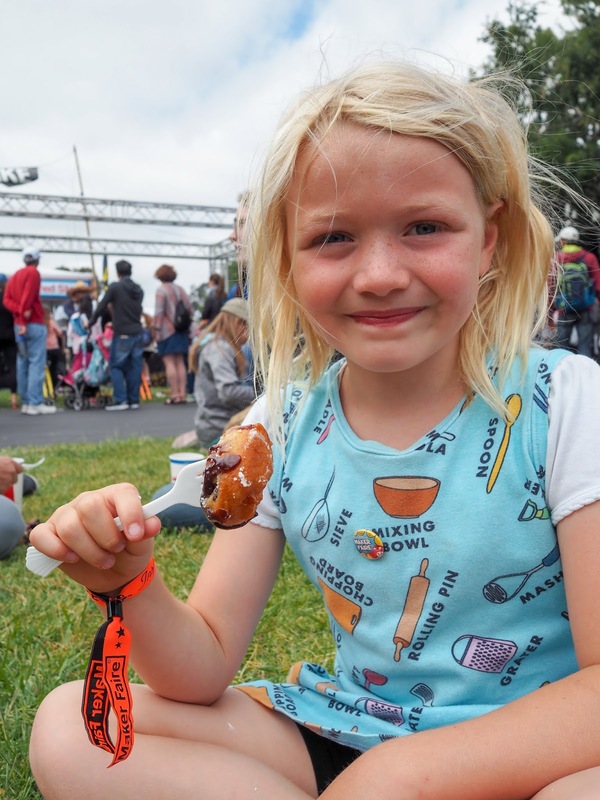 Lola was pretty excited to see her favorite, deep fried Oreos, on the menu so we grabbed a serve of those for dessert too. We ate our artery hardening meal under the watchful gaze of a wooden wolf sculpture. 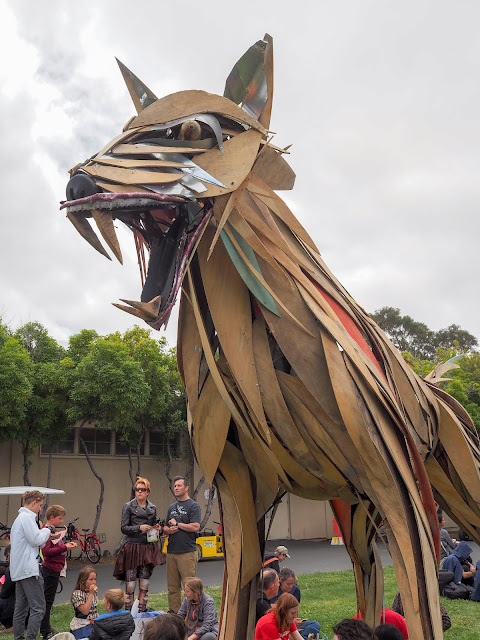 He looked a little hungry but we didn't share our corn dogs - or feed him children! 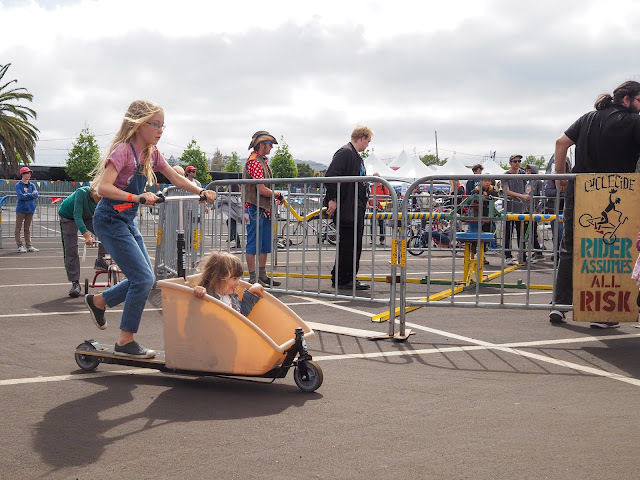 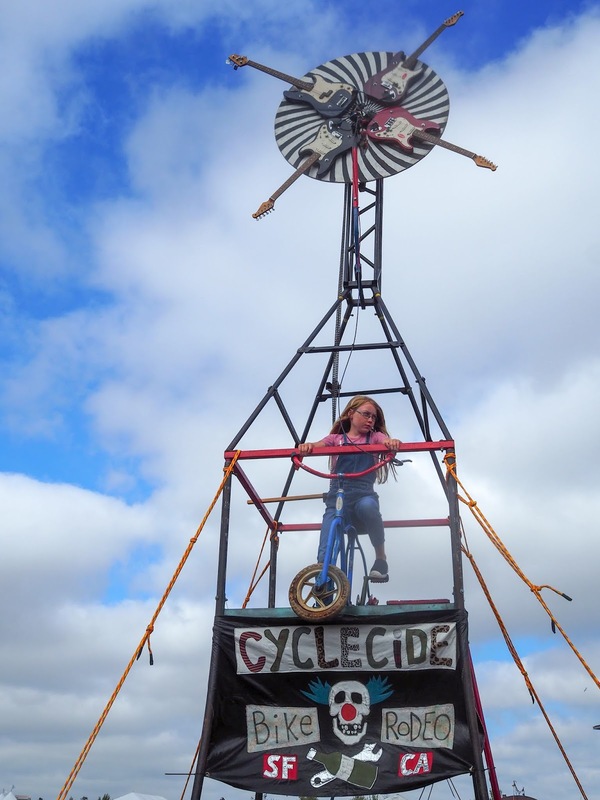 After lunch Ava joined Rock the Bike to produce some pedal powered electricity for the stage where bands performed. 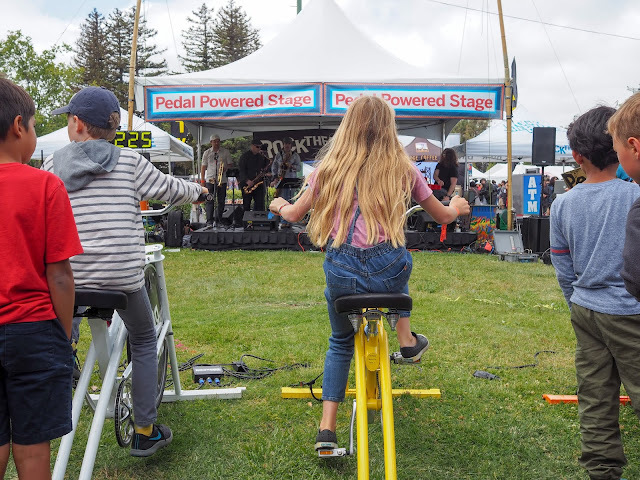 This is always one of our favorite activities at Pedalfest each year too. 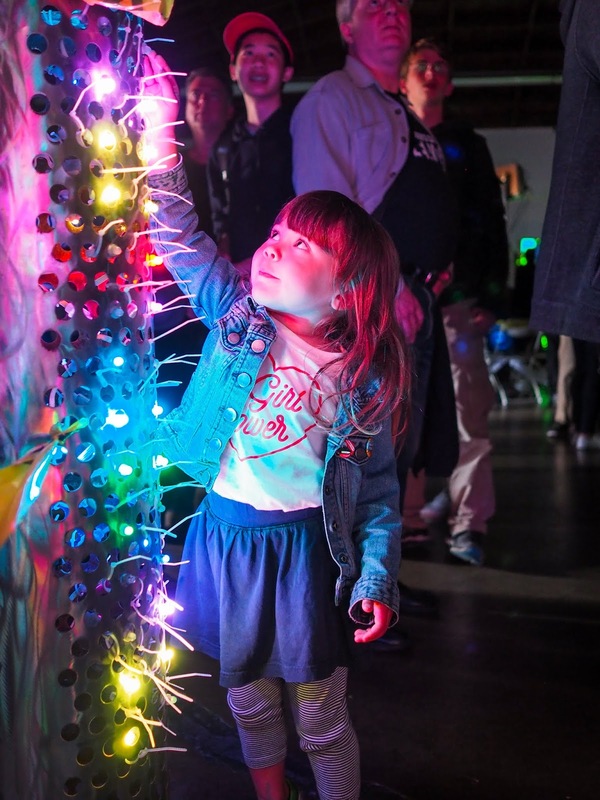 We then headed inside the Dark Room to check out the glowing and illuminated displays. 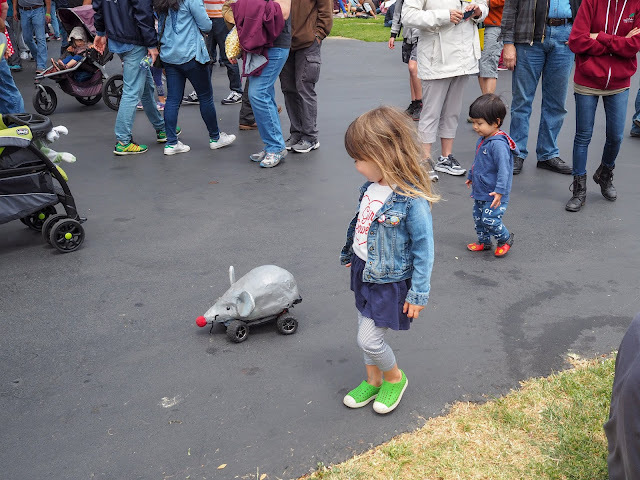 The girls were excited to see the Cat of a Different Color vehicle inside this year. 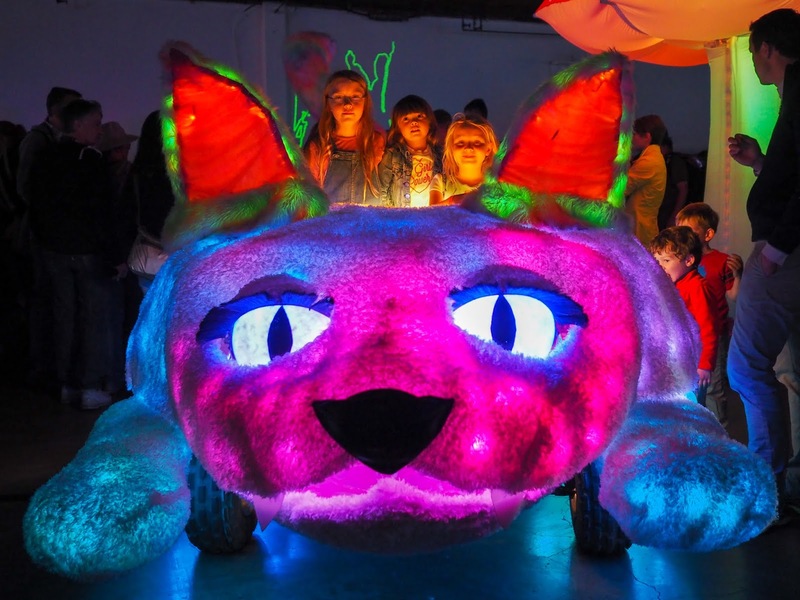 Last year it had been outside and while it was still fun to check out, its glowing colors just didn't show up. 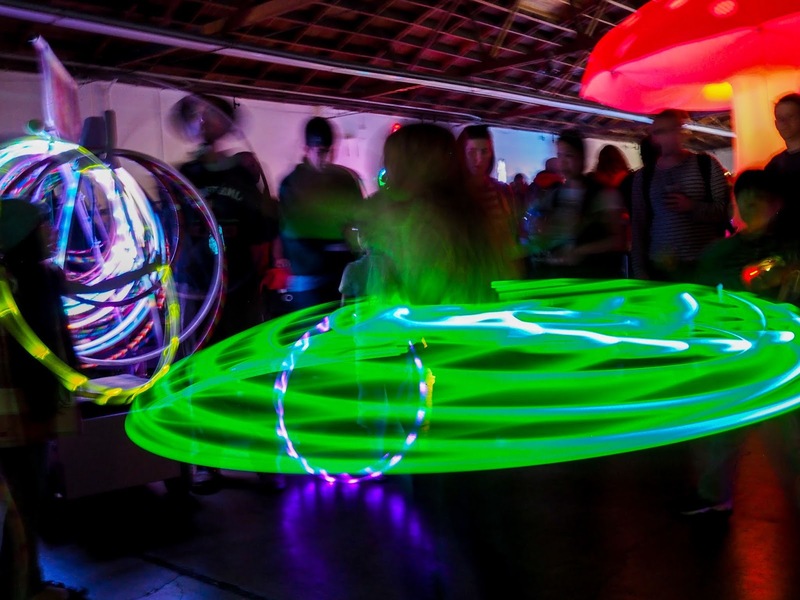 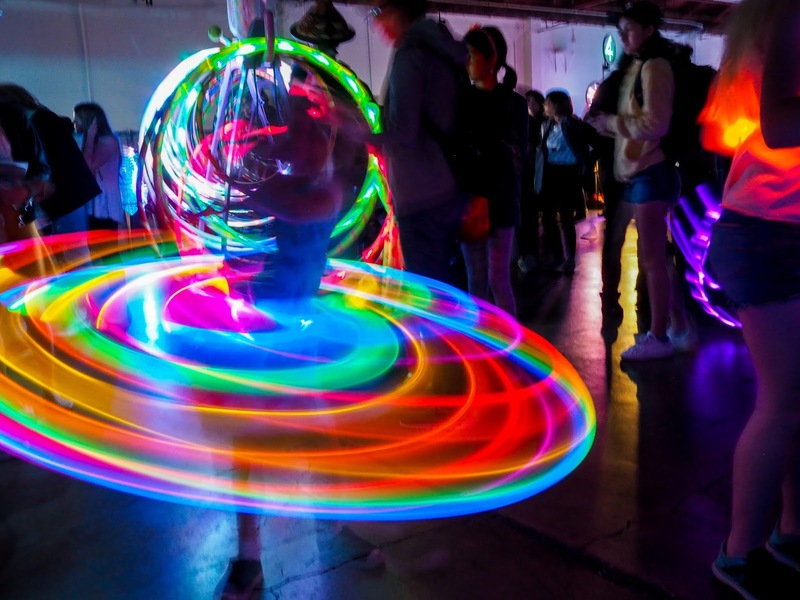 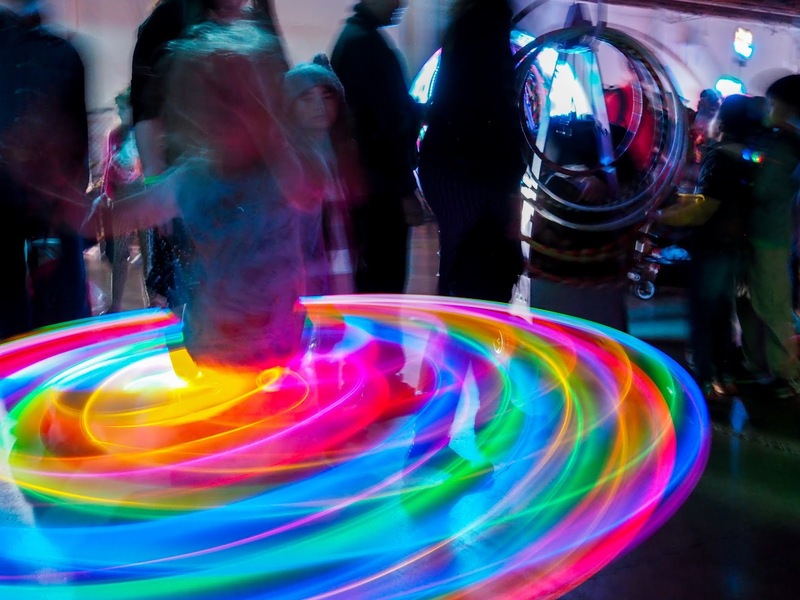 The lighted hula hoops proved to be a lot of fun and made for some creative (if blurry) photos. 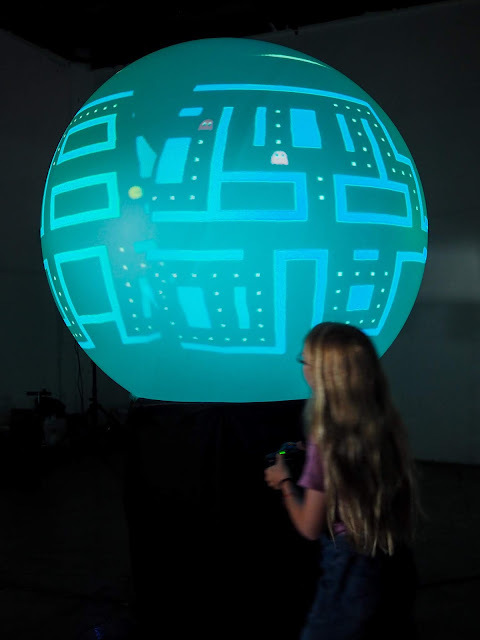 There was plenty of computer game fun in the Dark Room with Spherical Pac-Man and giant Tetris proving the kids' favorites. 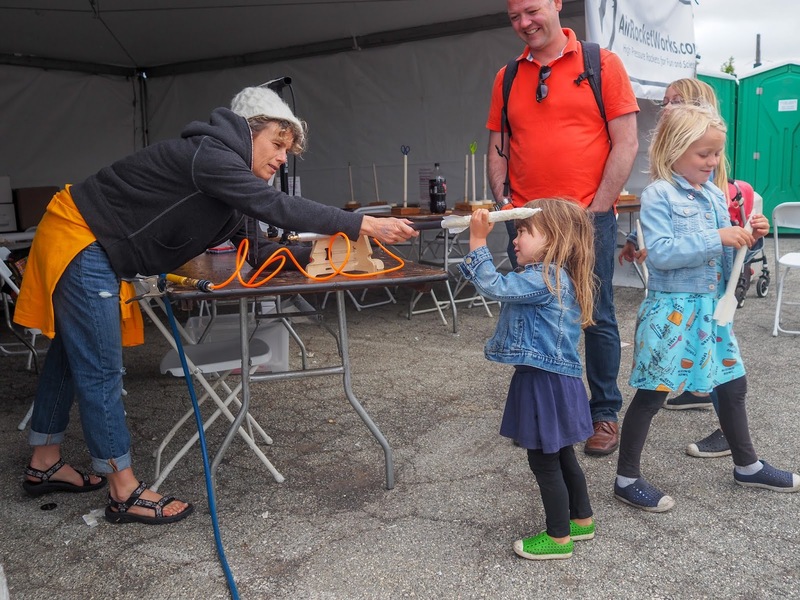 Back outside the kids enjoyed some low tech fun with giant bubble wands. 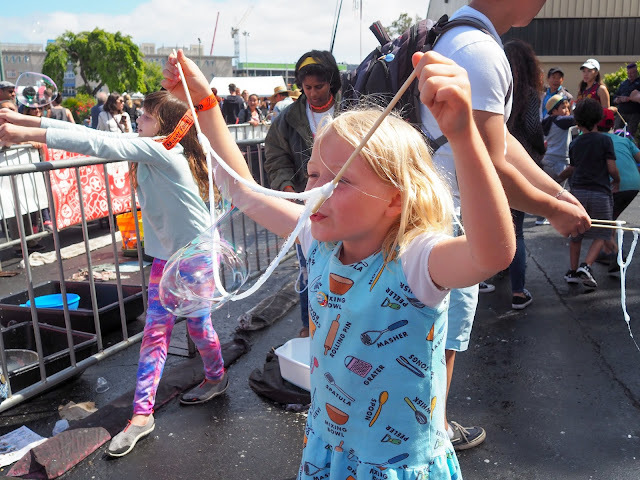 They made their wands out of chopsticks and strips of fabric and then spent quite some time blowing bubbles at each other. 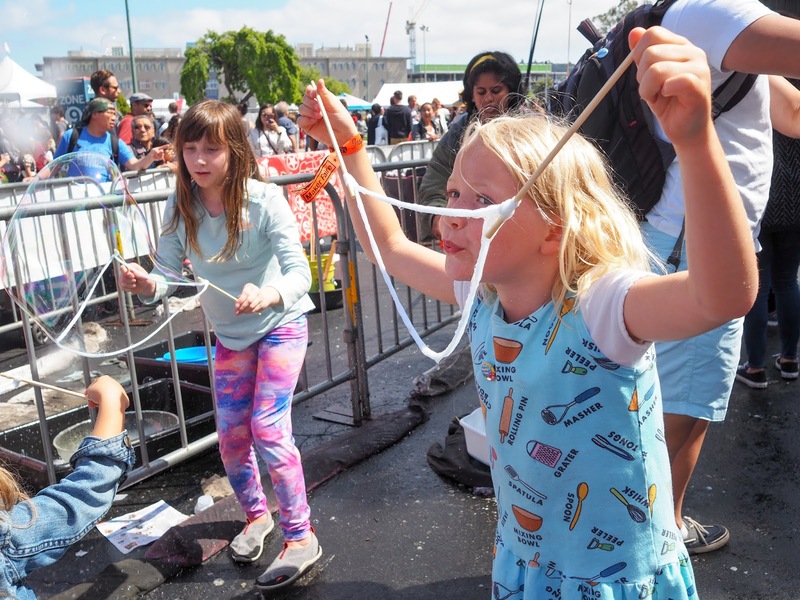 Ava and Lola worked out that they could catch each other's bubbles in the wands so they blew bubbles backwards and forwards to each other. You can't spend the day at Make Faire without seeing something shooting flames, right? 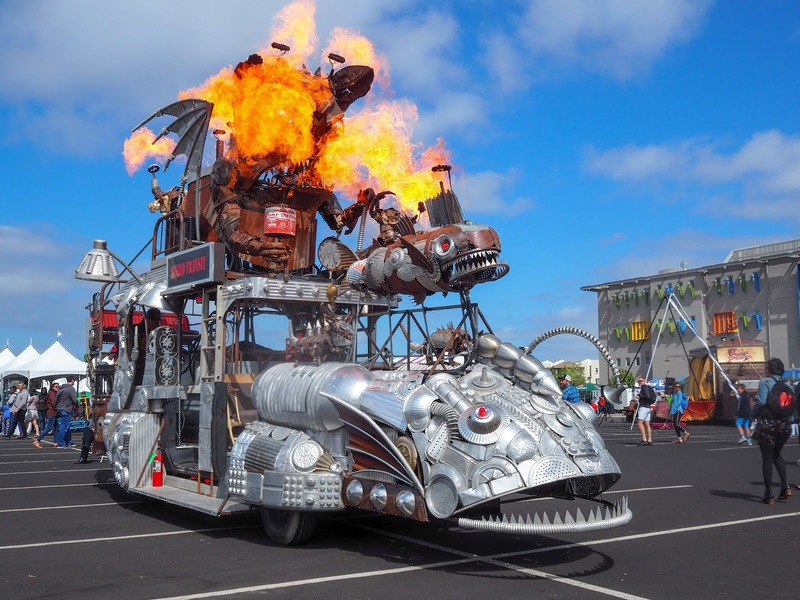 The Rabid Transport vehicle provided us with plenty of flames to see. 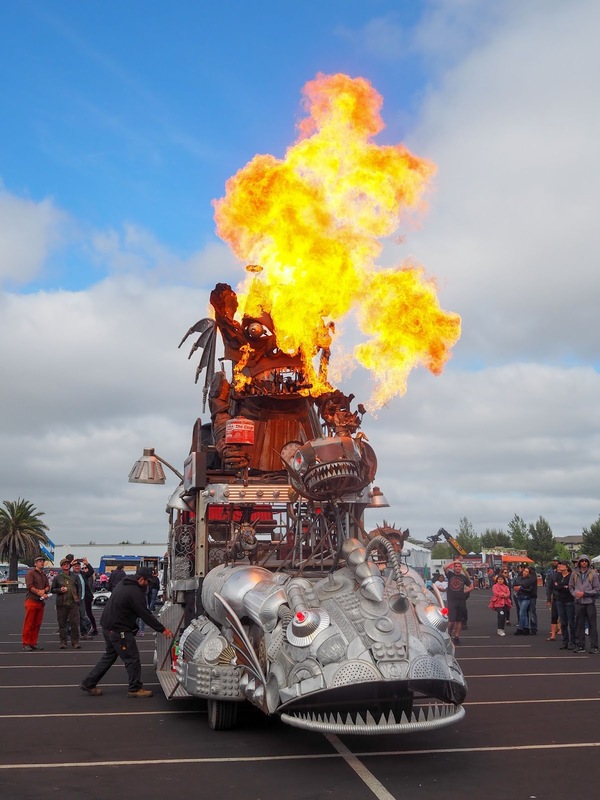 Flames shot out in time with dance music no less! 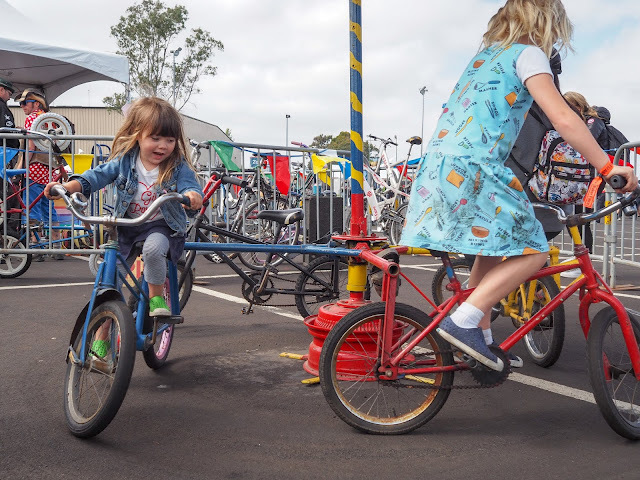 Time for the bikes! The bike area is always one of the girls' favorite parts of Maker Faire. They rode crazy bikes made up of other bike parts, spun around at high speed on pedal powered rides, played guitar by pedaling, and rode around and around on the pedal go round. 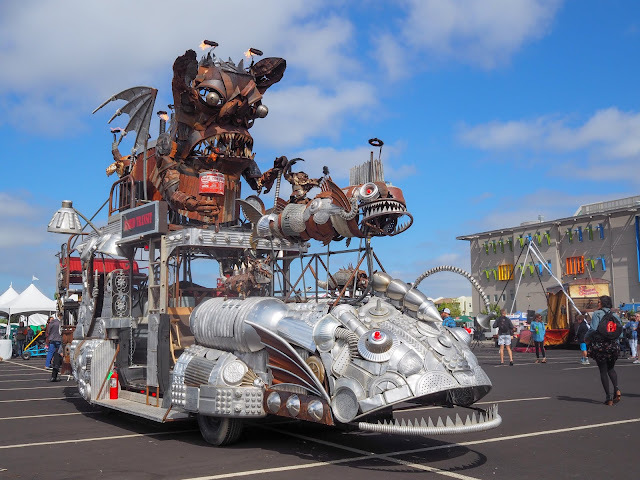 From crazy bikes to crazy motor bikes. 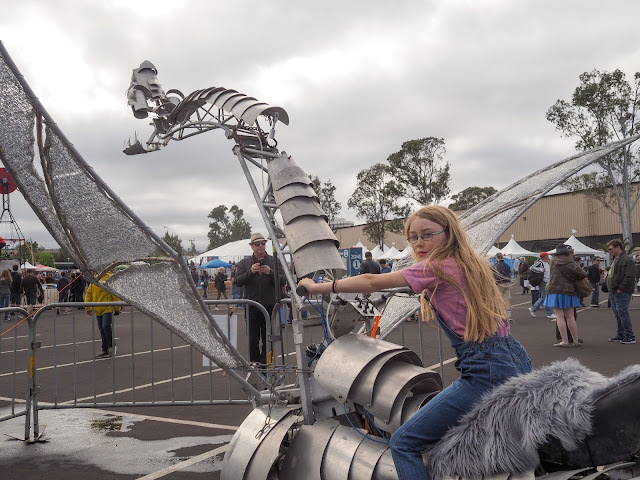 Well, the girls didn't get to actually ride this one, but they did sit on it and control the dragon's head. 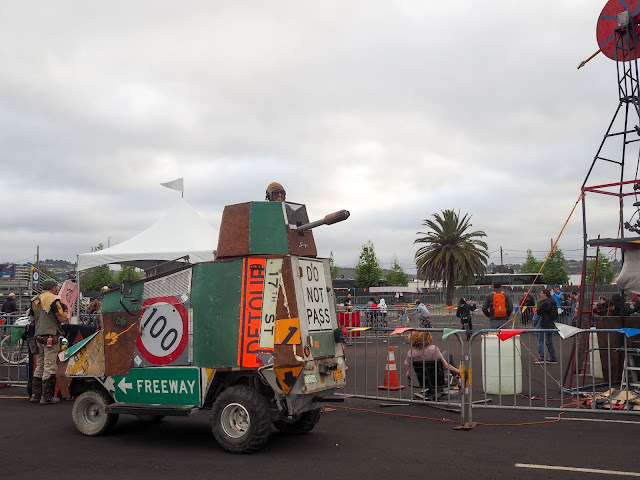 It was then time for a little entertainment. 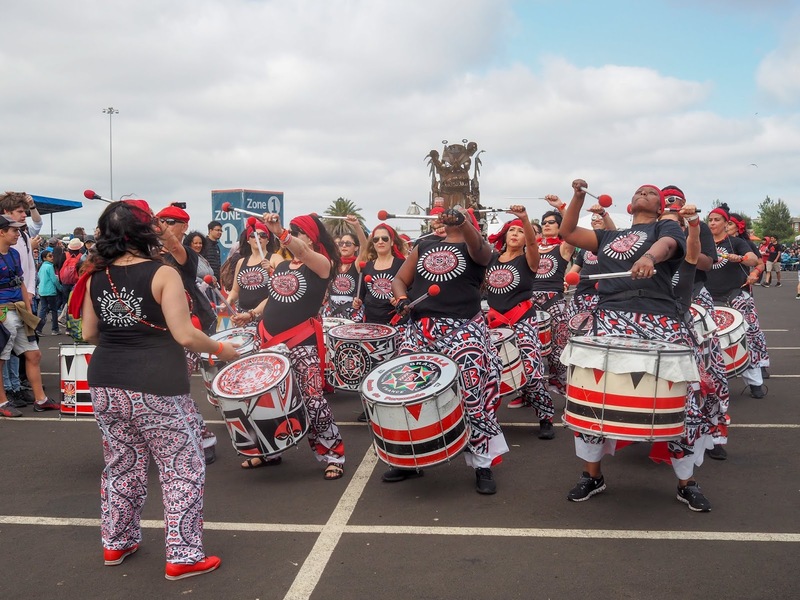 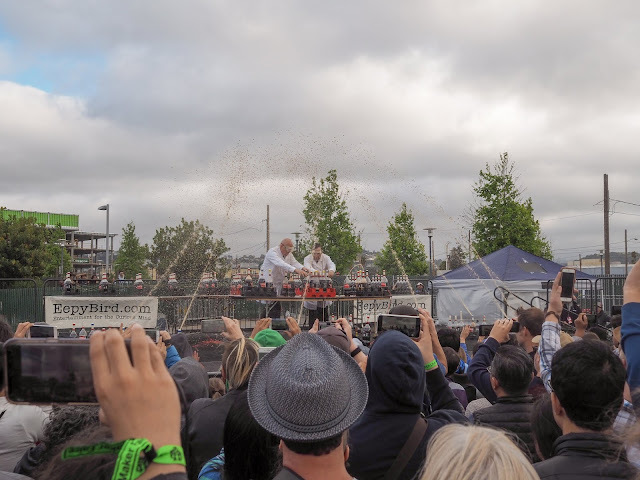 We checked out a group of drummers and some acrobatics before one of the entertainment highlights of the fair - the Coke and Mentos show. 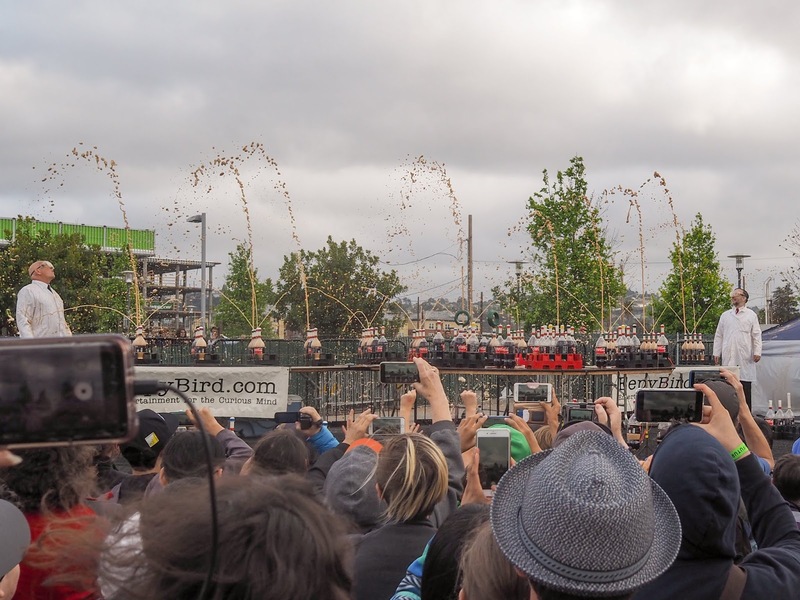 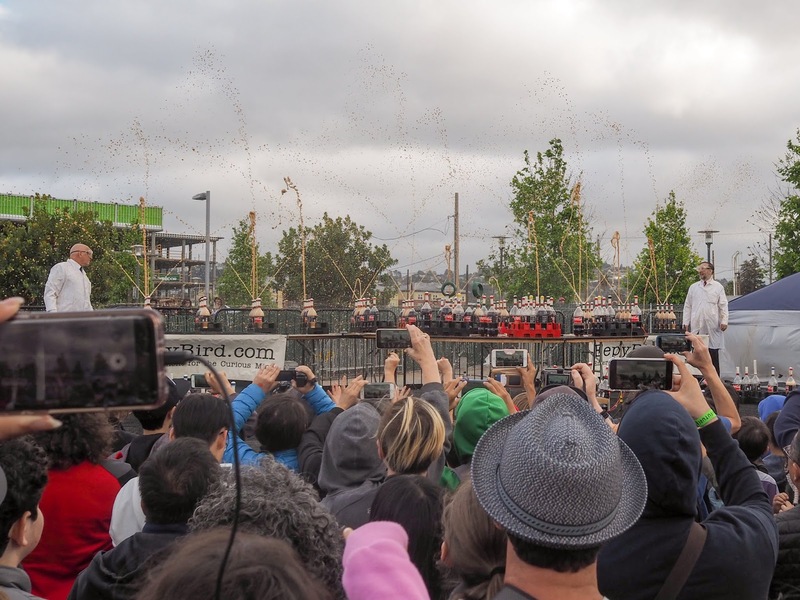 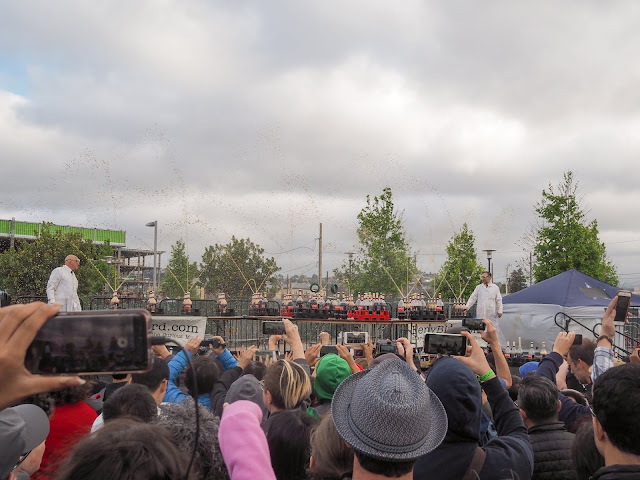 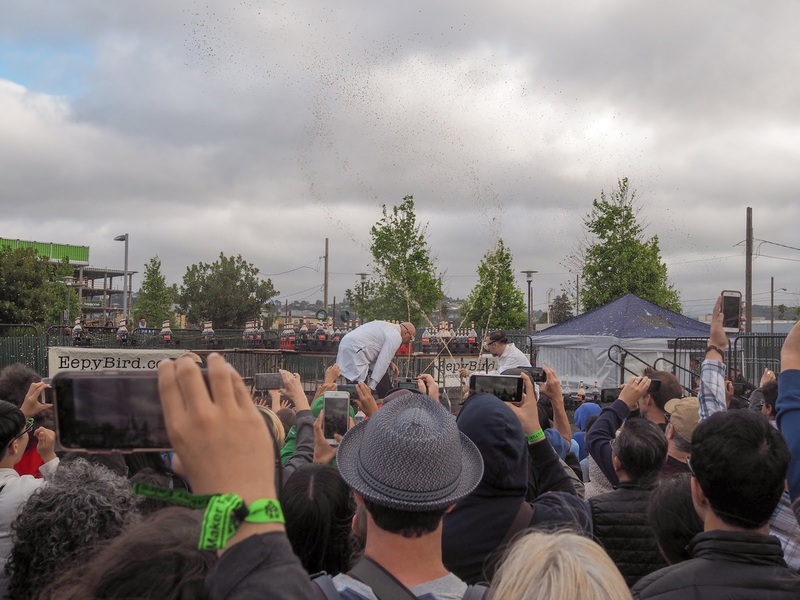 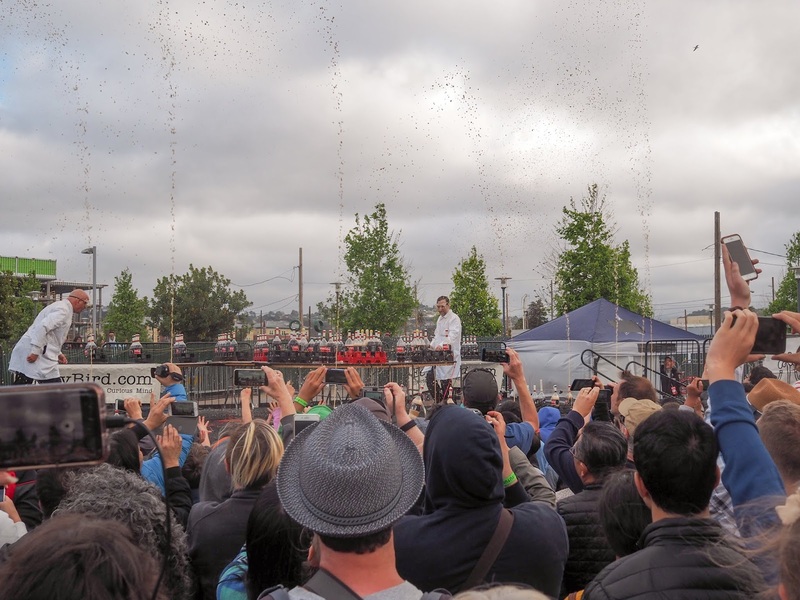 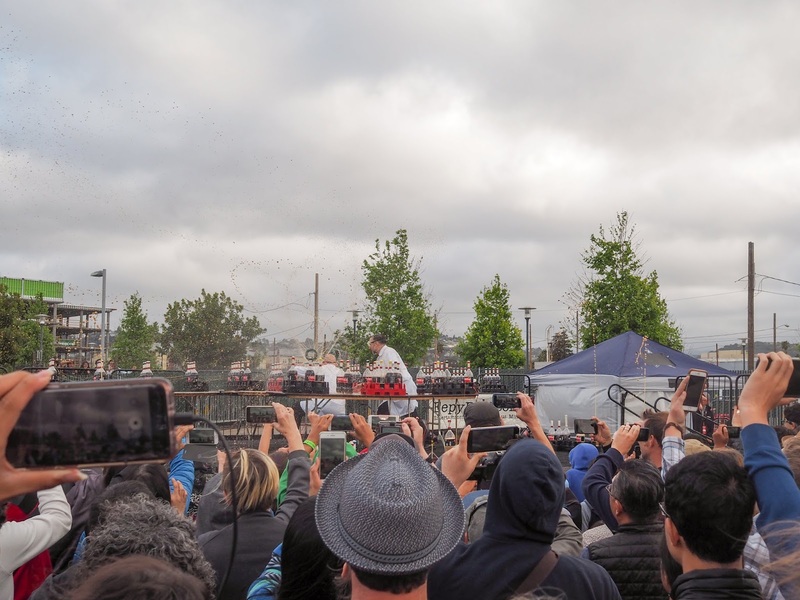 Even though this was our sixth time attending Maker Faire this was the first year that we made it to the Coke and Mentos show. We've always missed it in the past for some reason or other, so the girls were really excited to catch it this time. 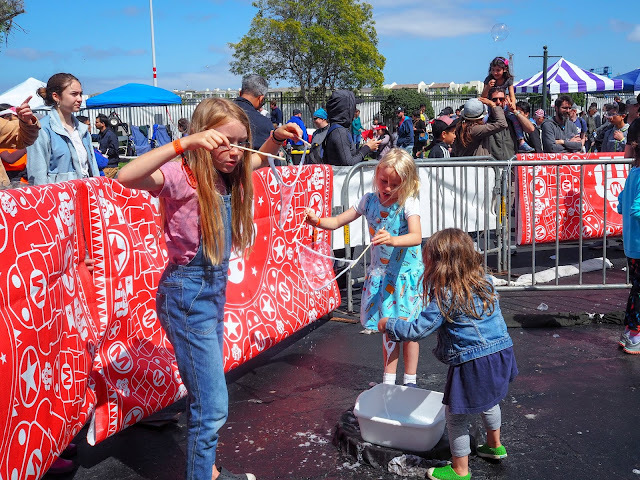 Ava and Lola were in the very front row for the Coke and Mentos show but somehow missed getting sprayed - which was good, because by this time it was getting quite cold. 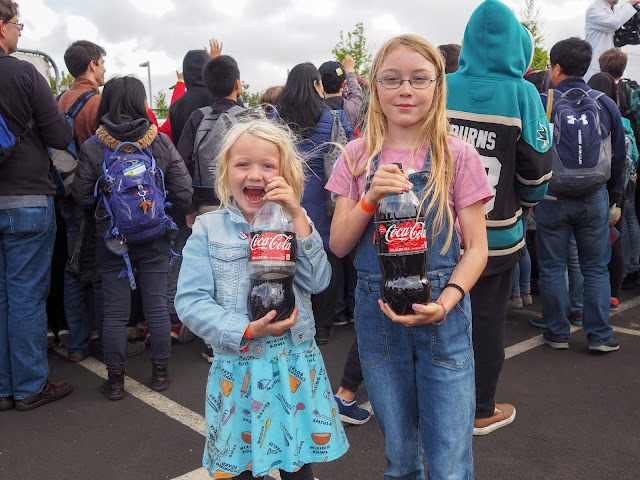 We hung around after the Coke and Mentos show and the girls were lucky enough to get one of the used bottles each. Mmm... warm, flat and mint flavored Coke Zero! Lola insisted that it tasted good and was happy to drink it. 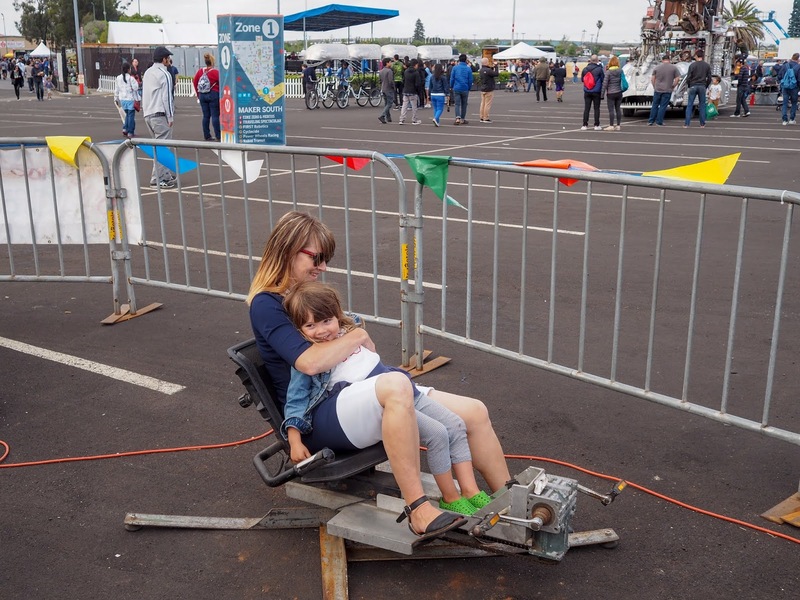 With only half an hour or so left before closing we decided to fit in a little making. 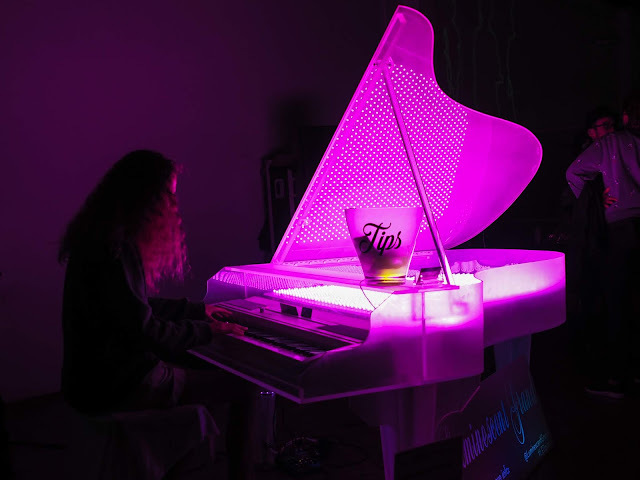 It is a festival for makers, after all. The girls each made and decorated a spinning top and then we moved onto making and launching paper rockets. 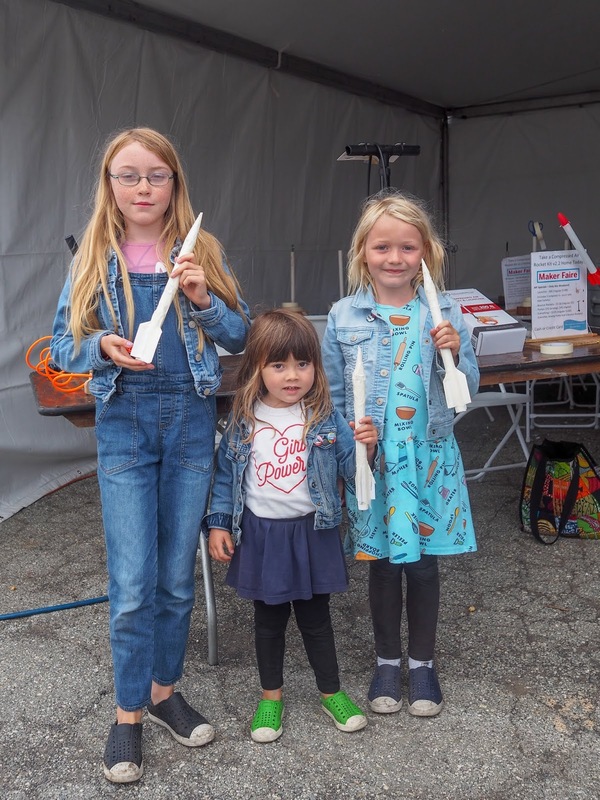 The paper rockets actually flew pretty far, and the kids enjoyed having a few turns each at launching them. 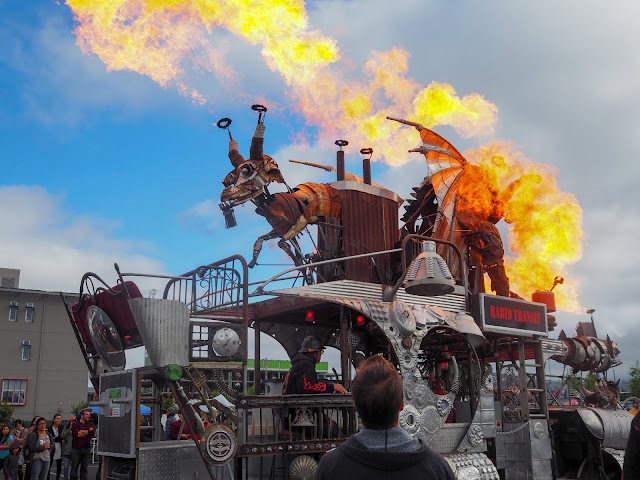 It was pretty cold by now so we headed inside to check out a few last displays before the end of the day. 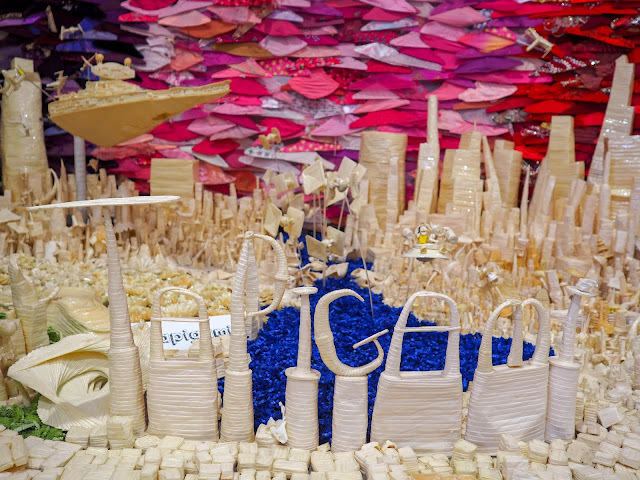 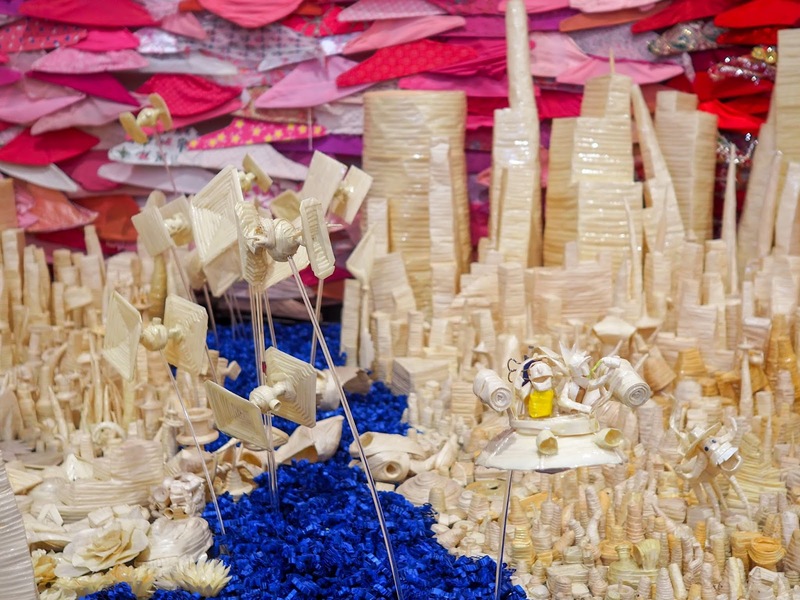 The Tapigami display is always amazing and this year's display did not disappoint. 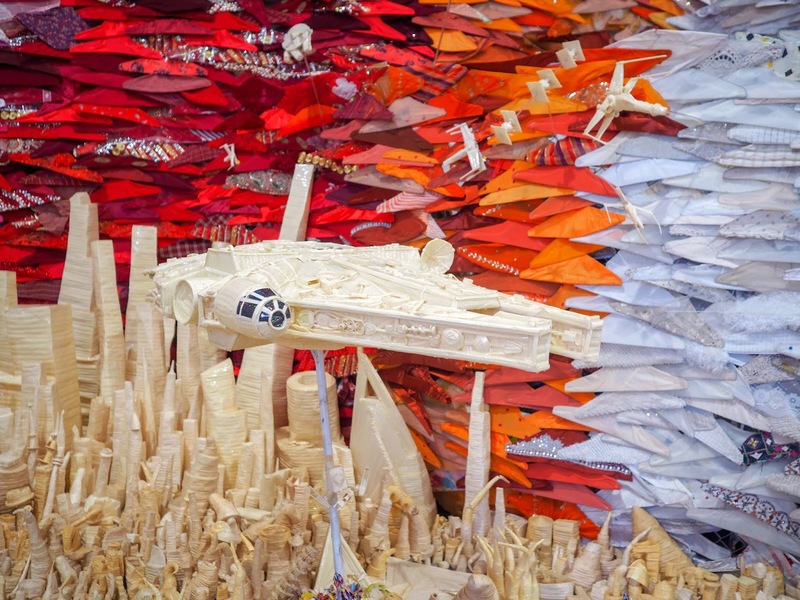 The tape landscape featured buildings, Star Wars space ships, aliens and, much to Ava's delight, a few Rick and Morty characters. 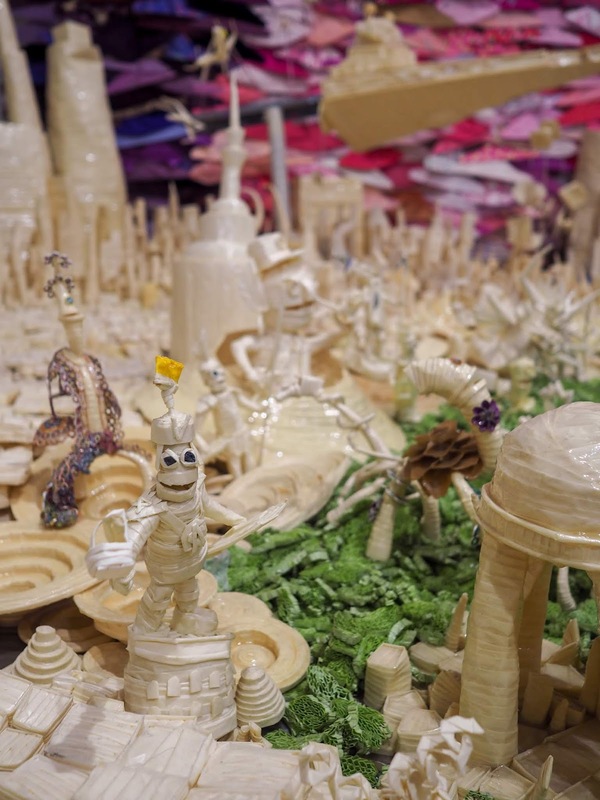 It's amazing to think they were all made of masking tape. 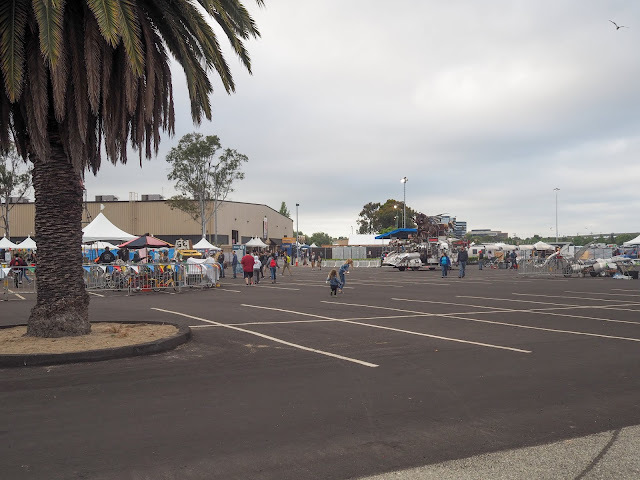 By now it was time to leave. 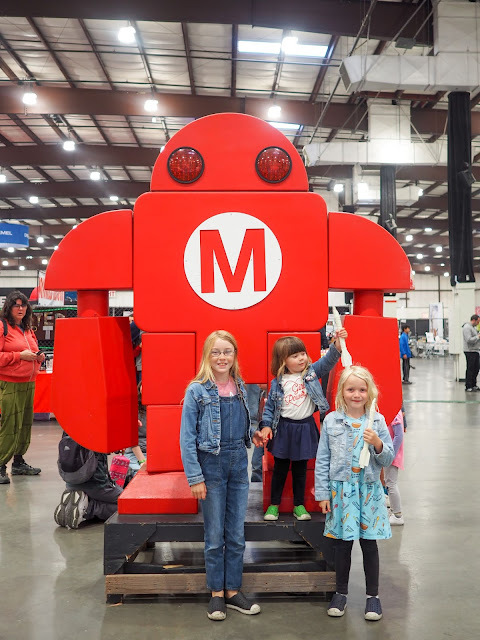 We stopped for a few cheesy photos with a Maker Faire robot statue before saying goodbye to Maker Faire for another year. Another fun Maker Faire for the books. It really is such an amazing festival with so much to see and do. I can't see us every tiring of Maker Faire no matter how many times we go. 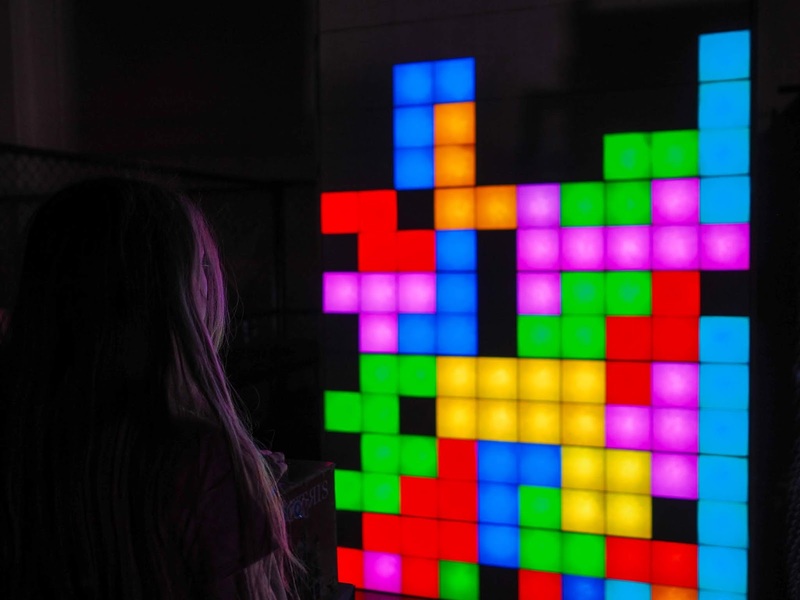 There's always something new and exciting to see. 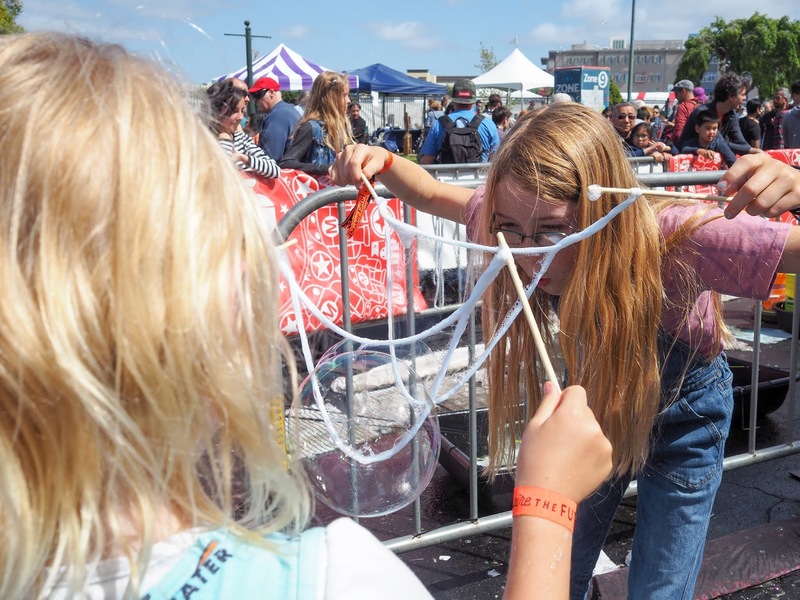 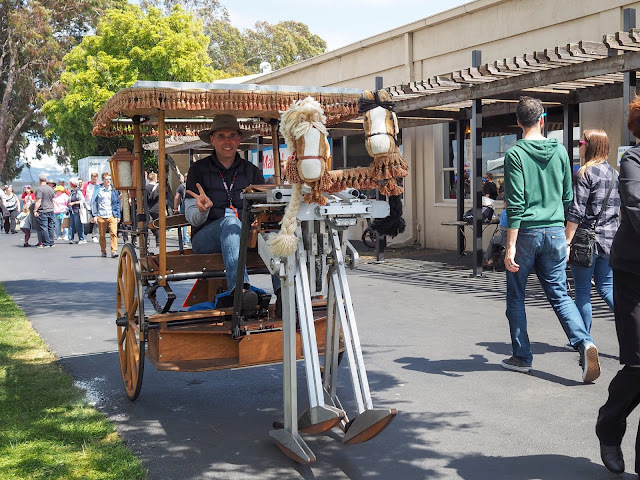 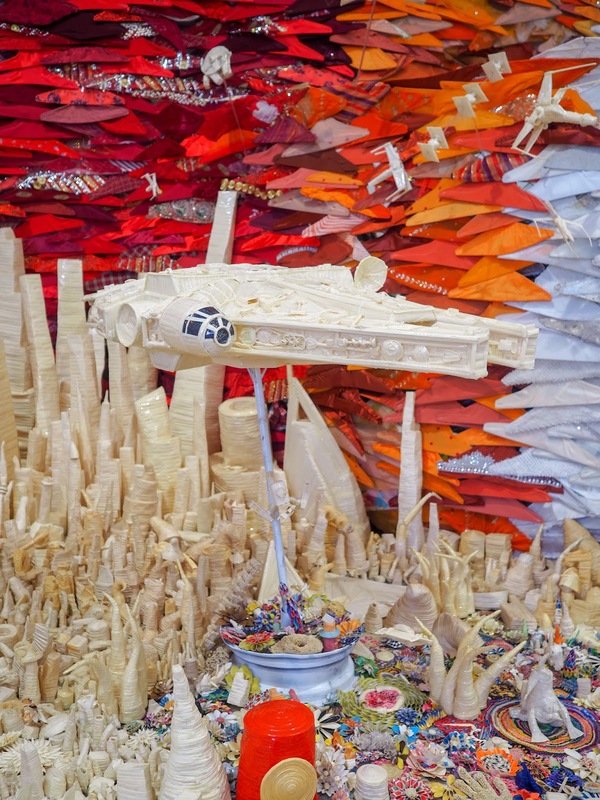 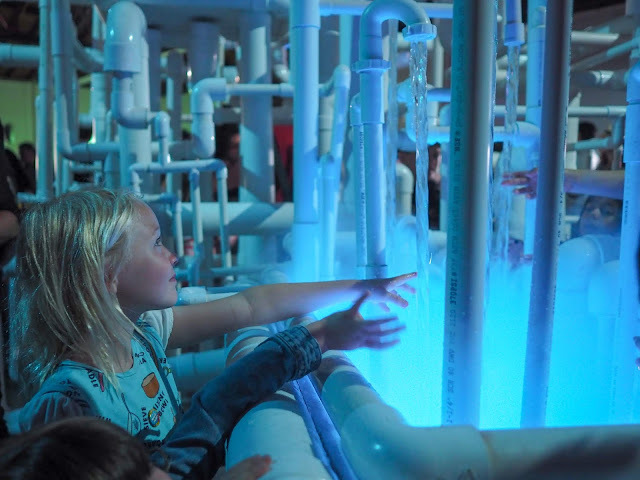 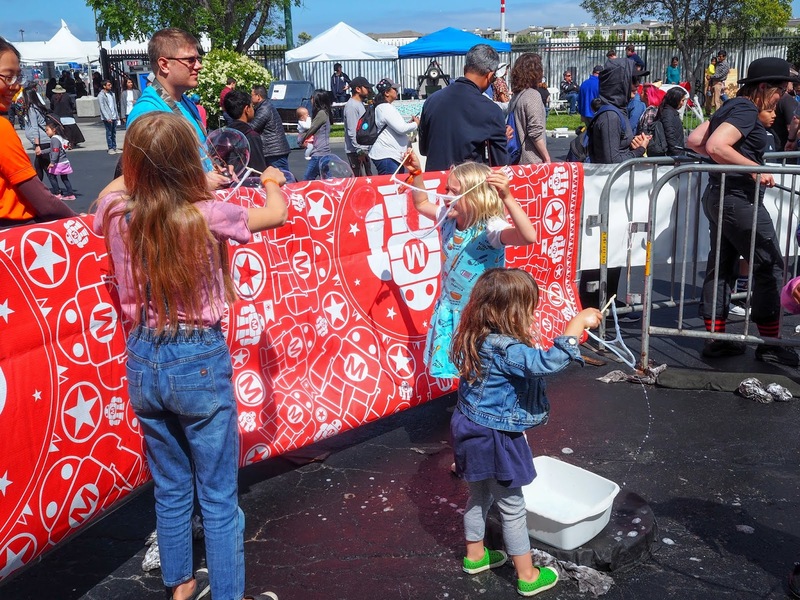 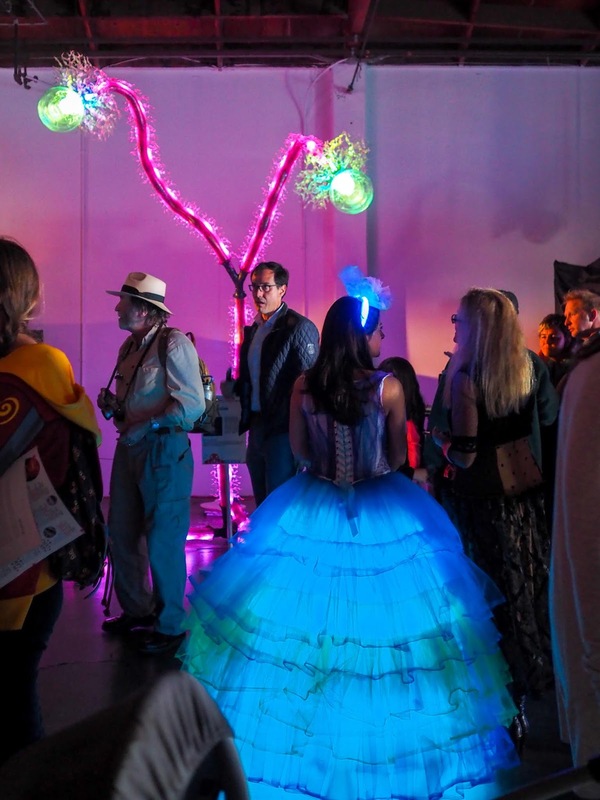 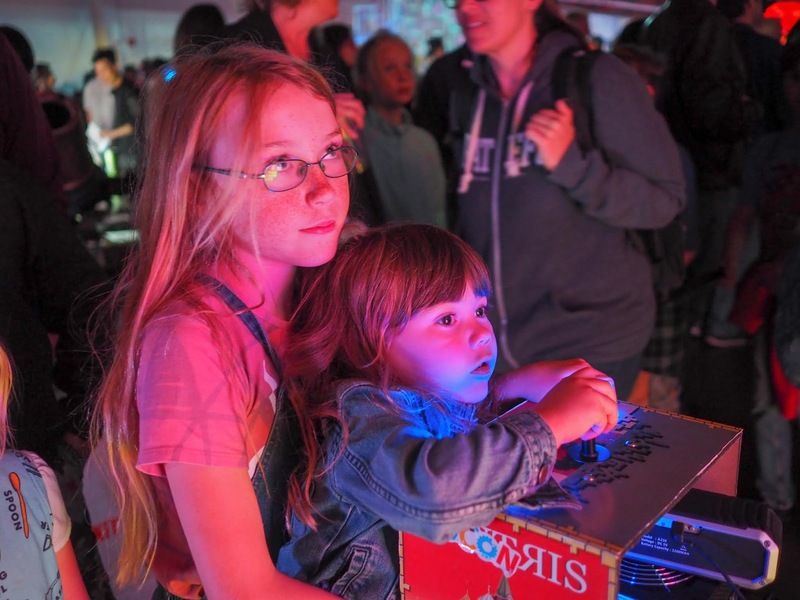 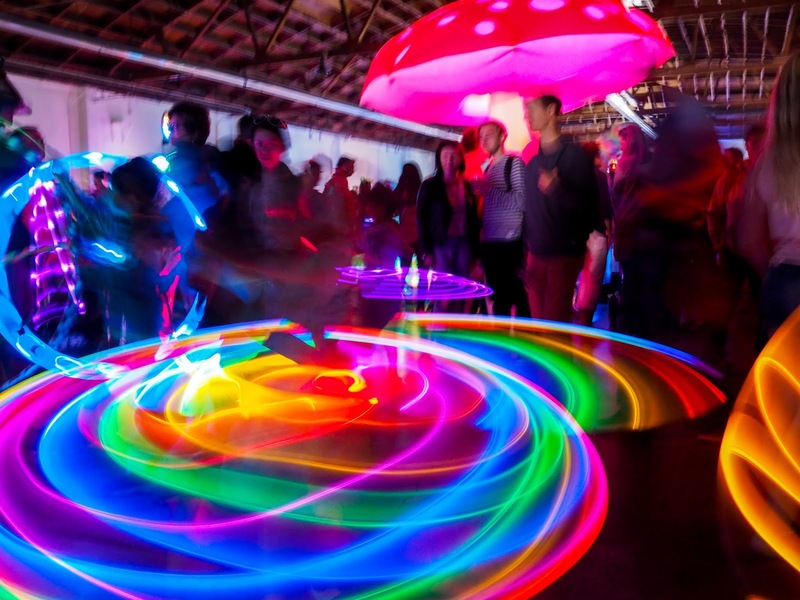 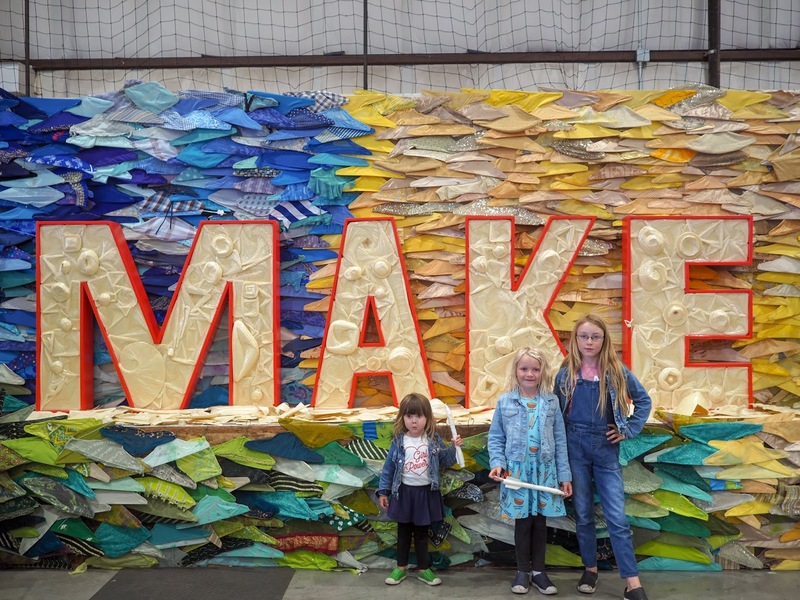 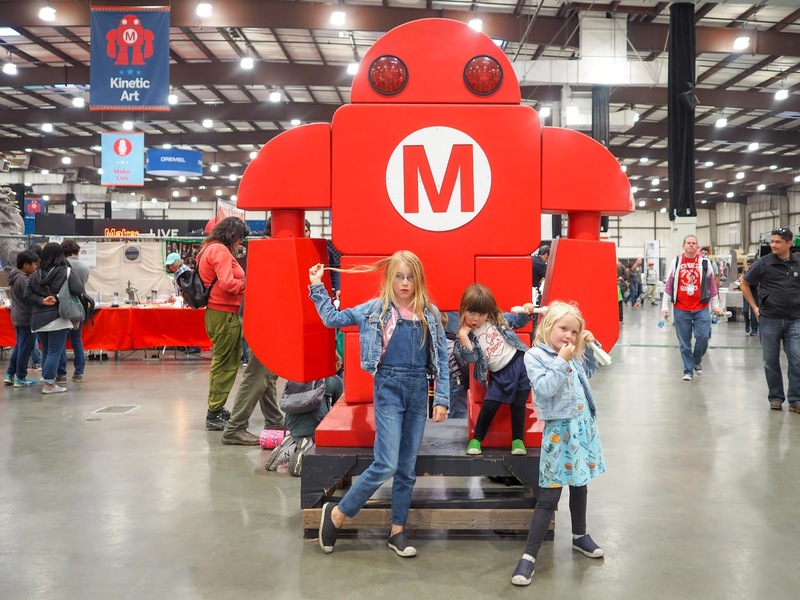 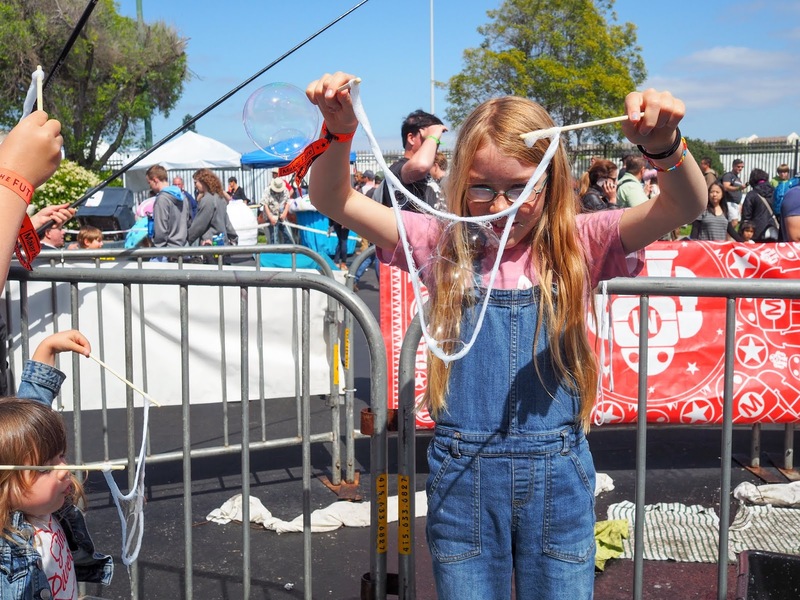 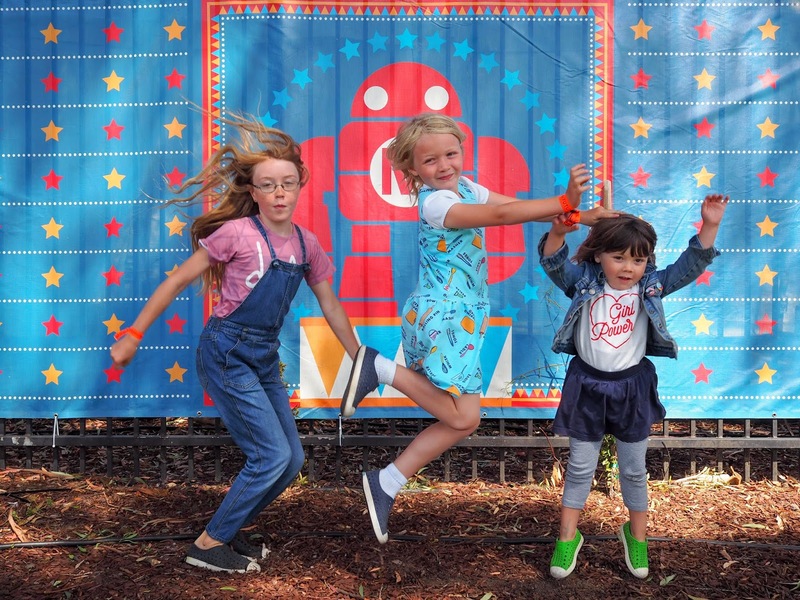 Have you been to a Maker Faire before? I'd love to hear about your experiences.